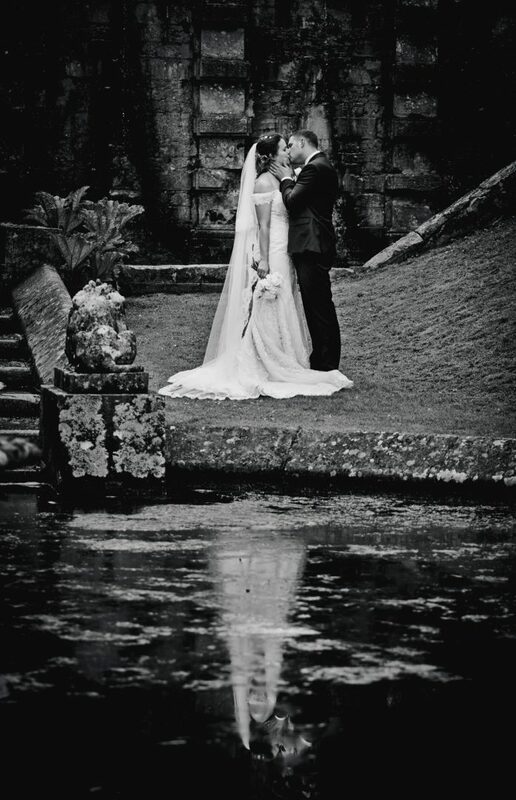 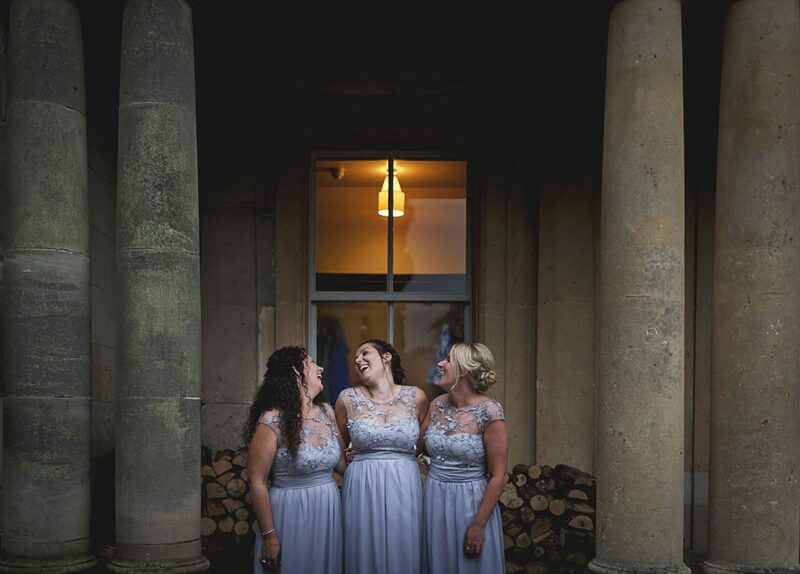 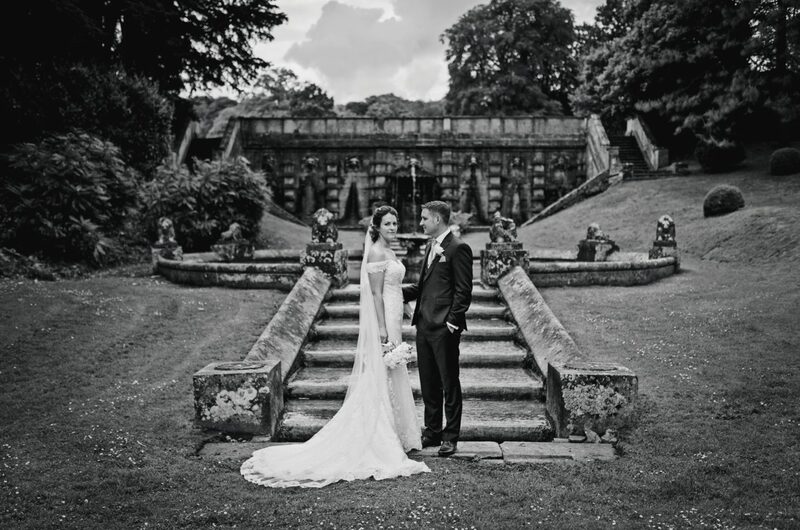 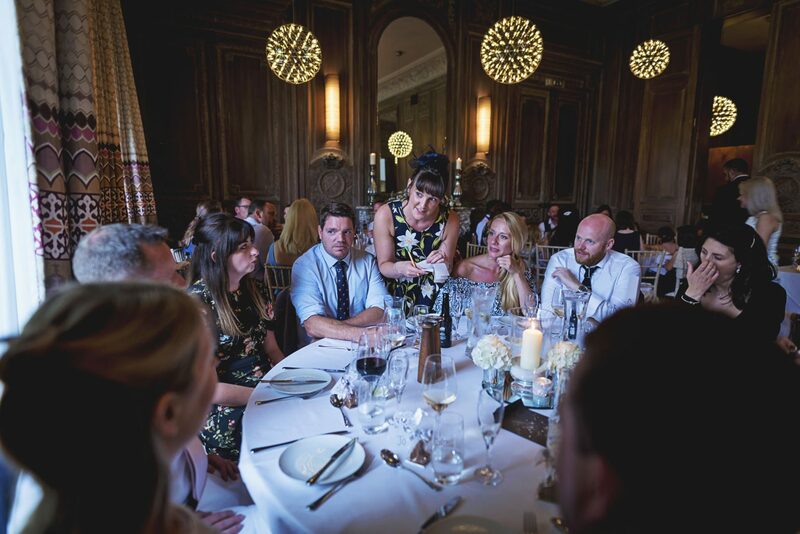 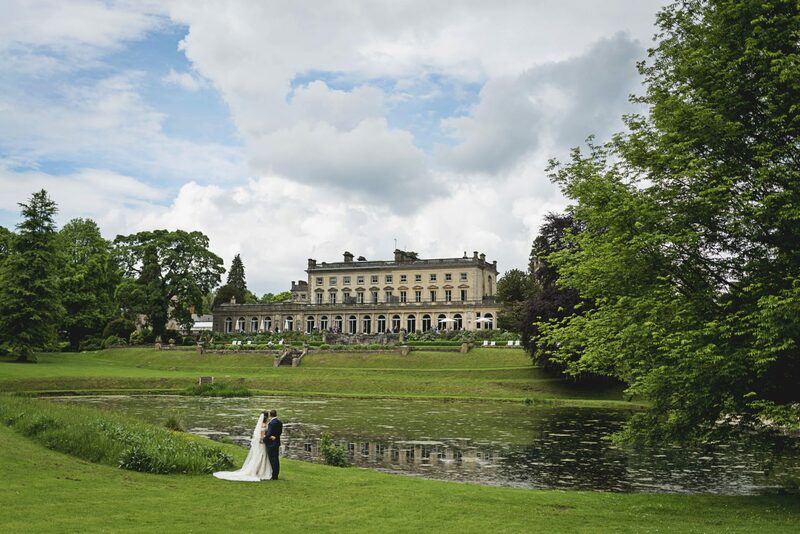 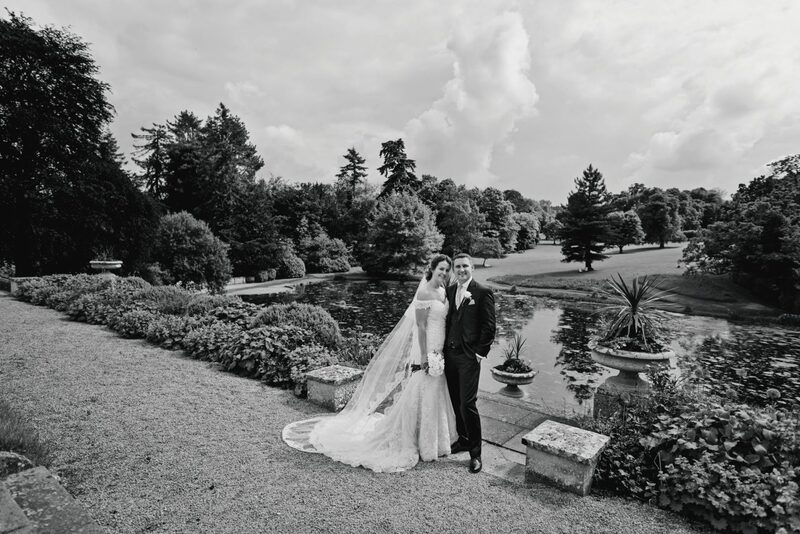 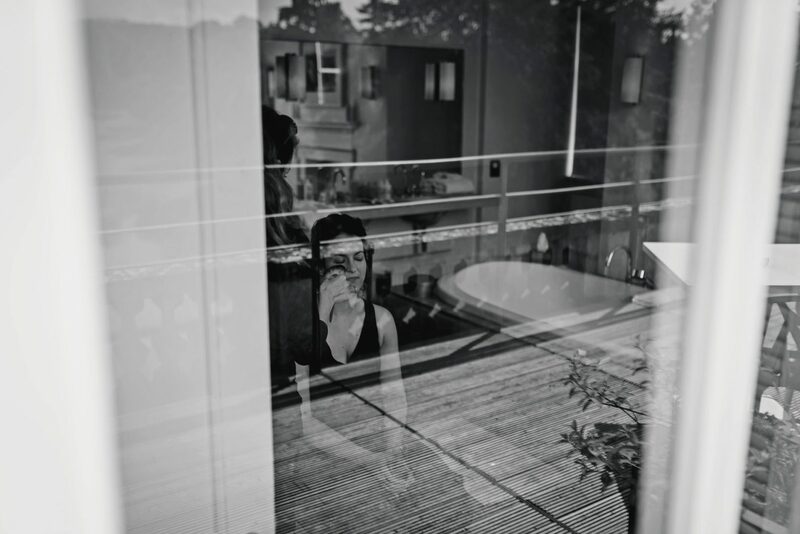 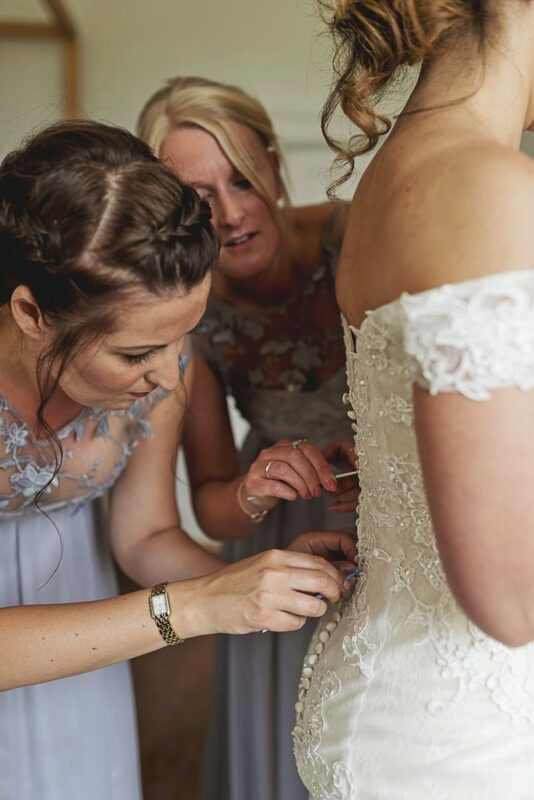 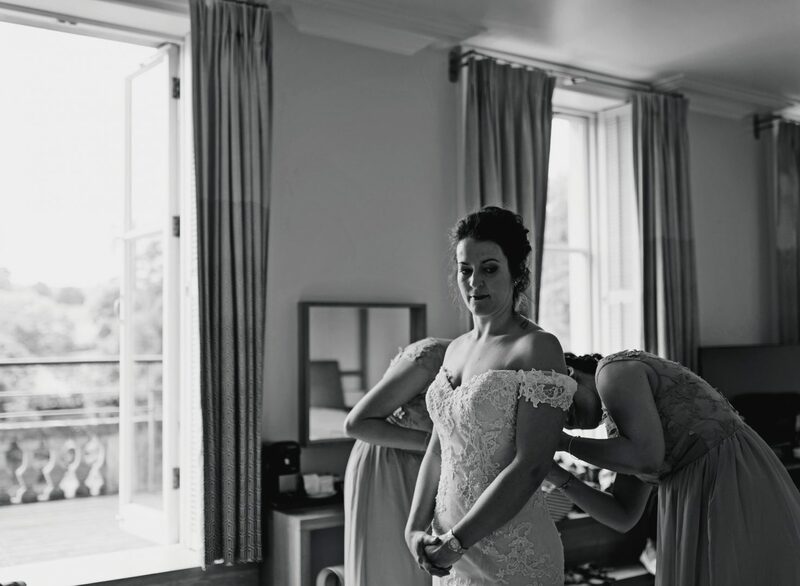 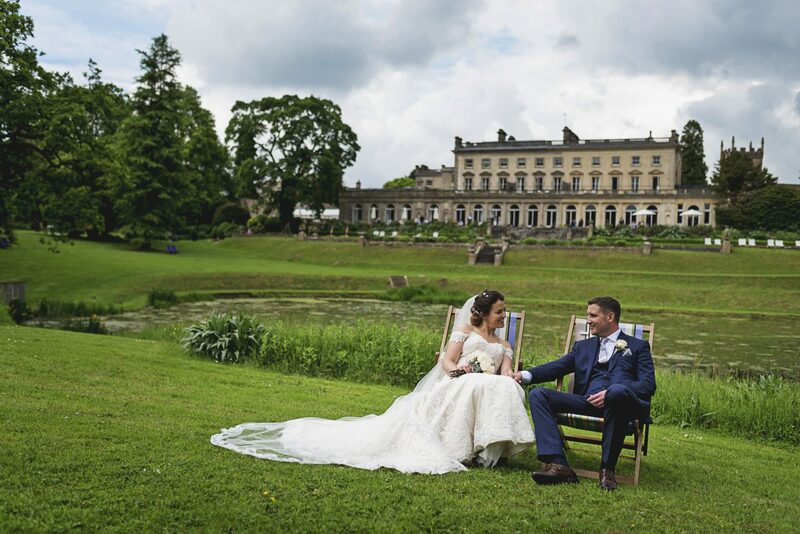 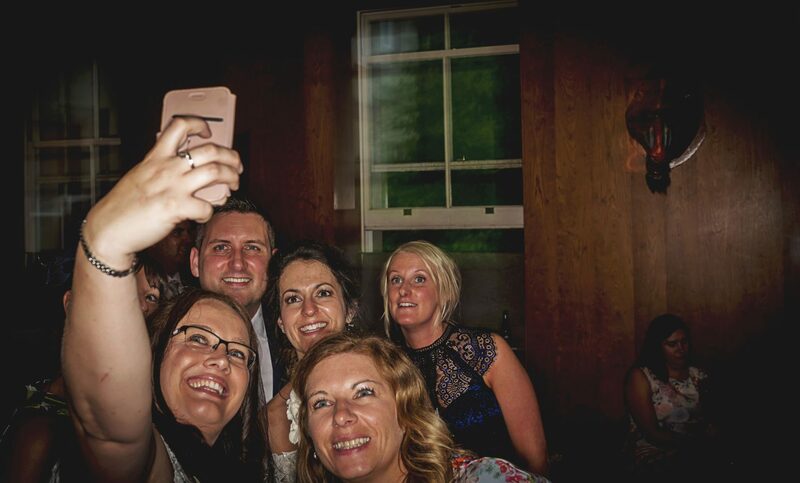 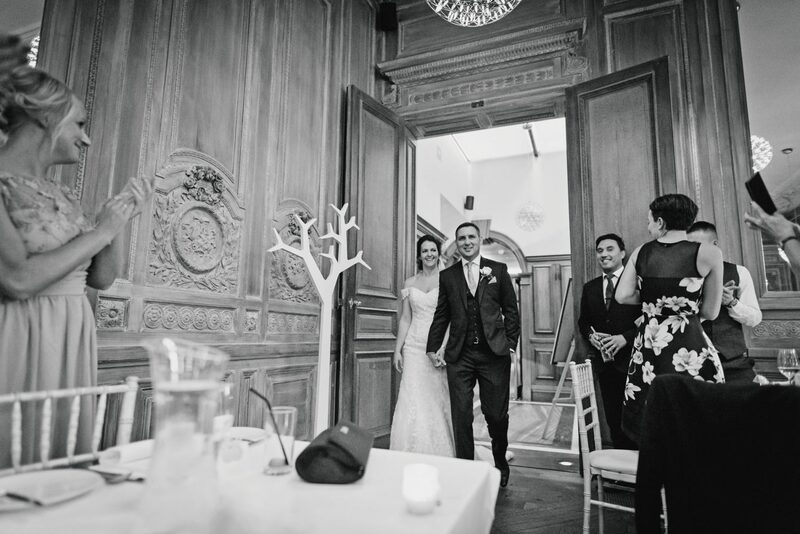 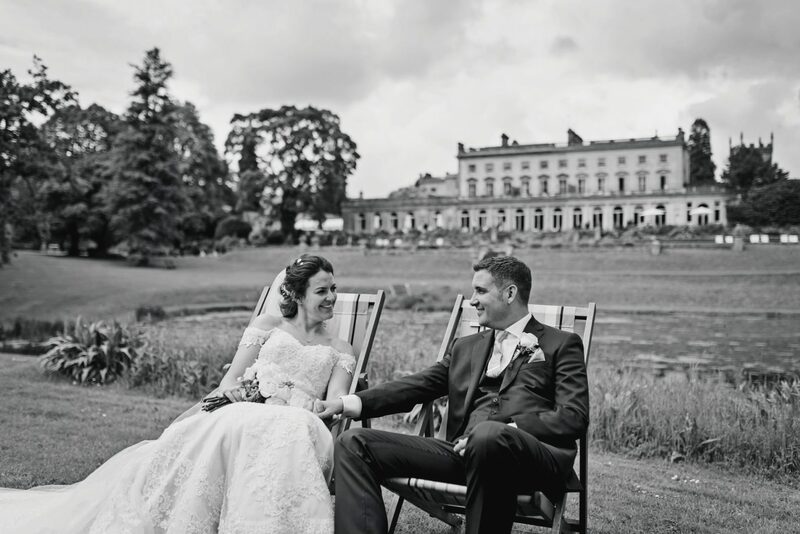 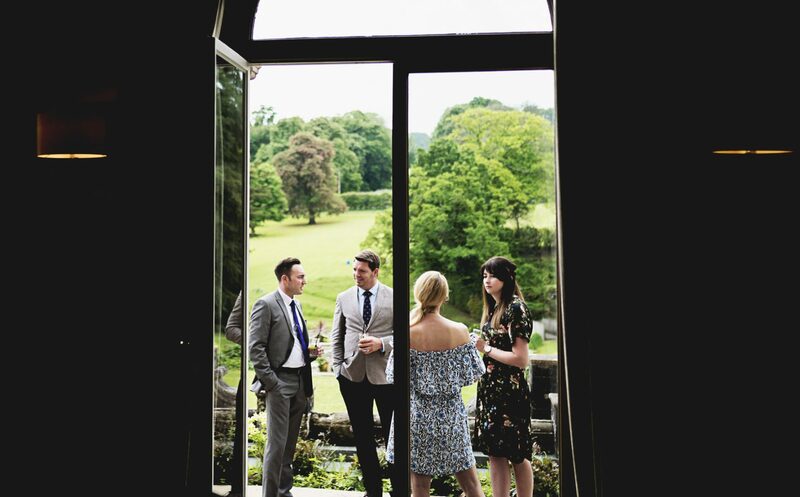 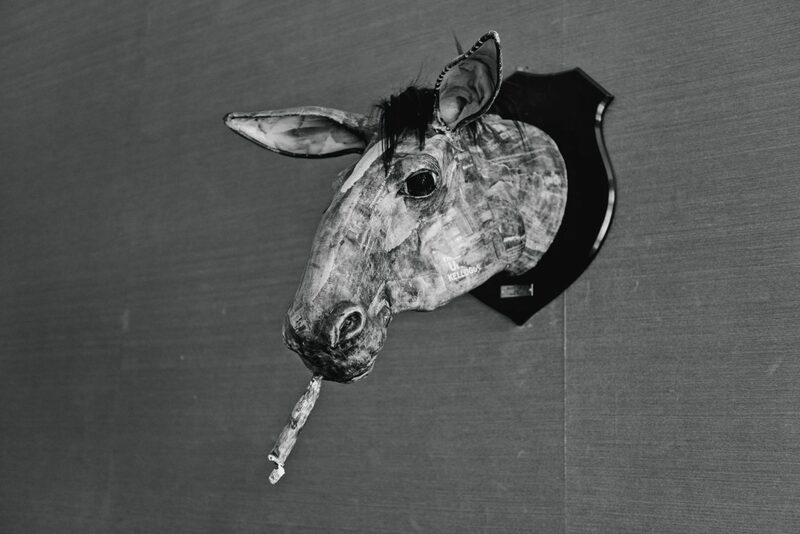 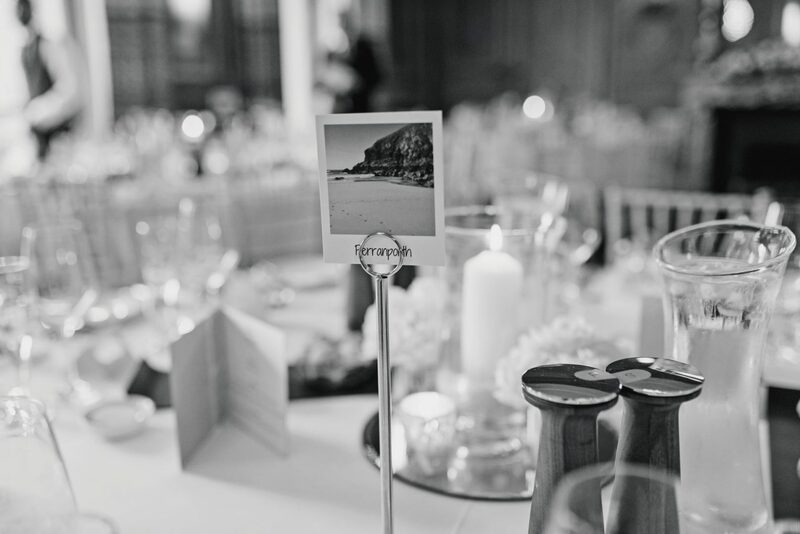 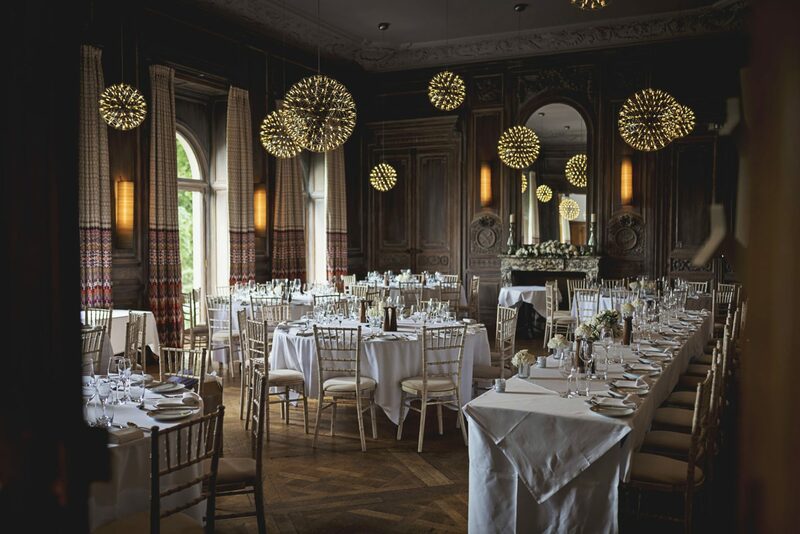 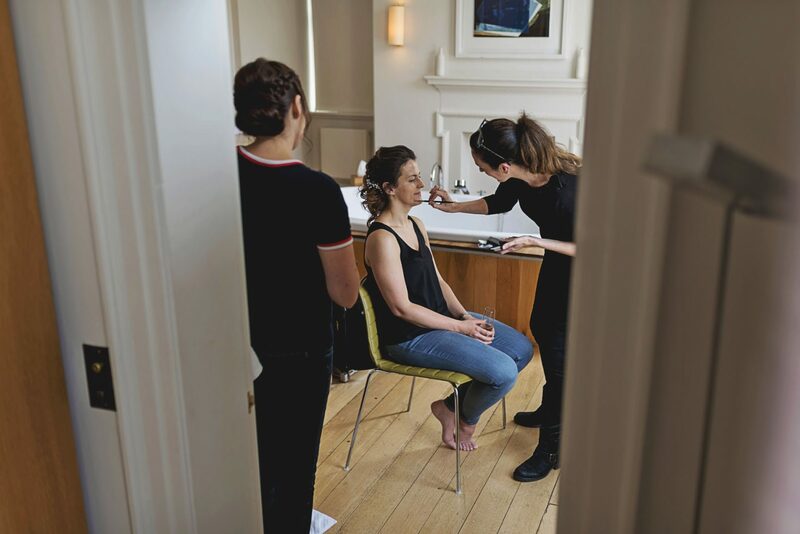 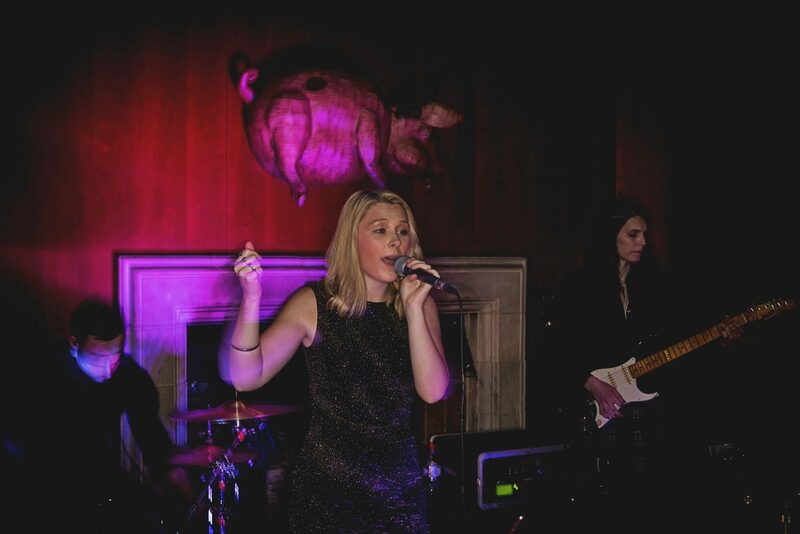 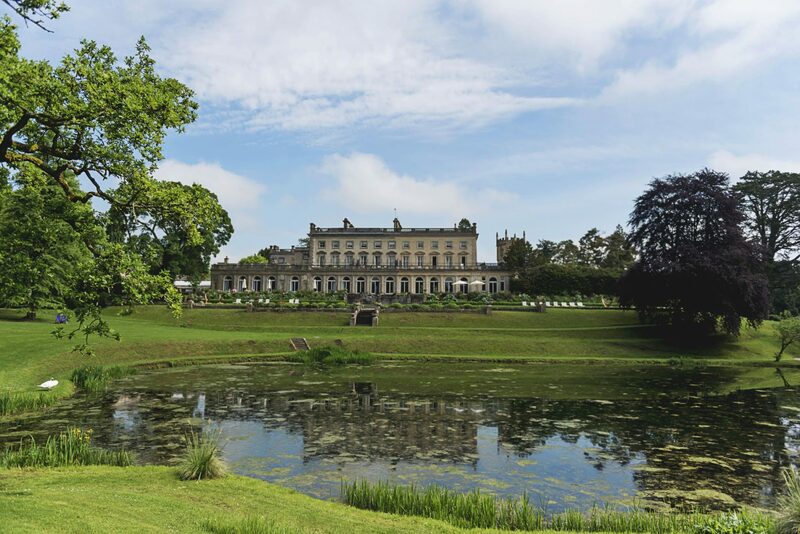 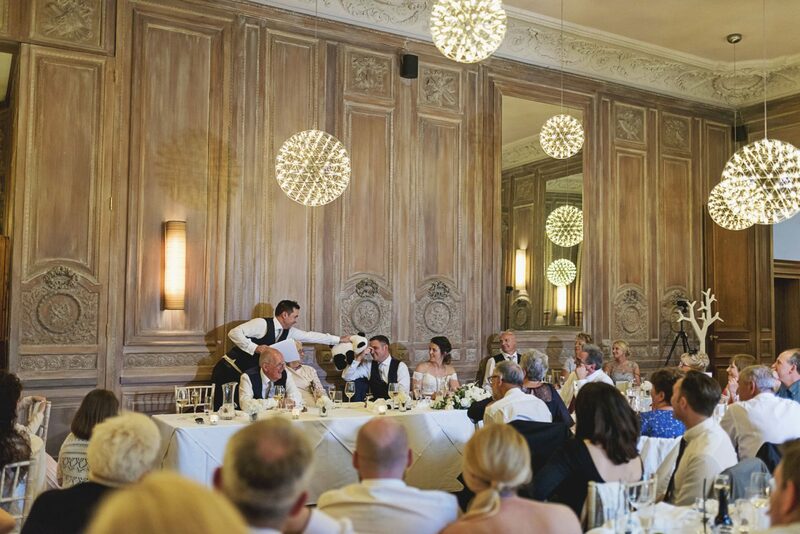 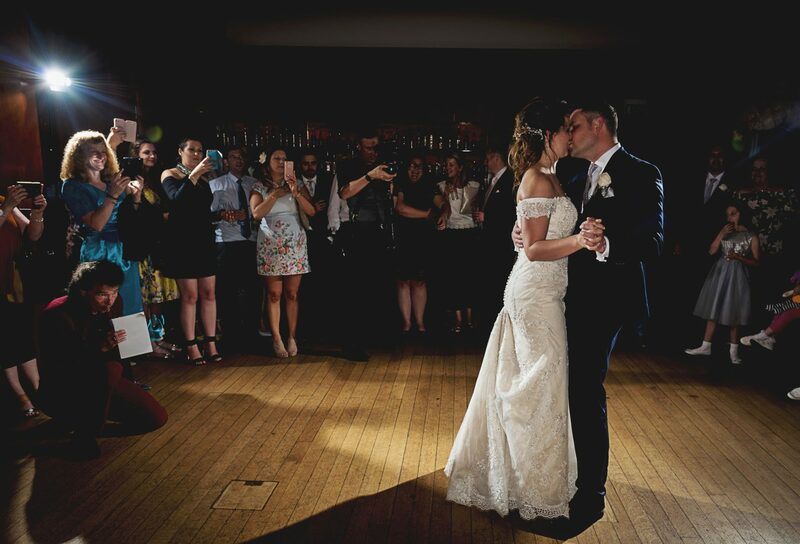 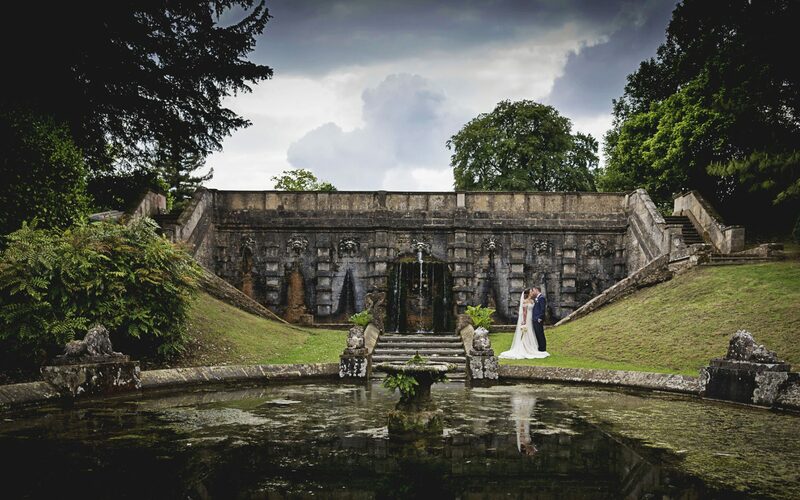 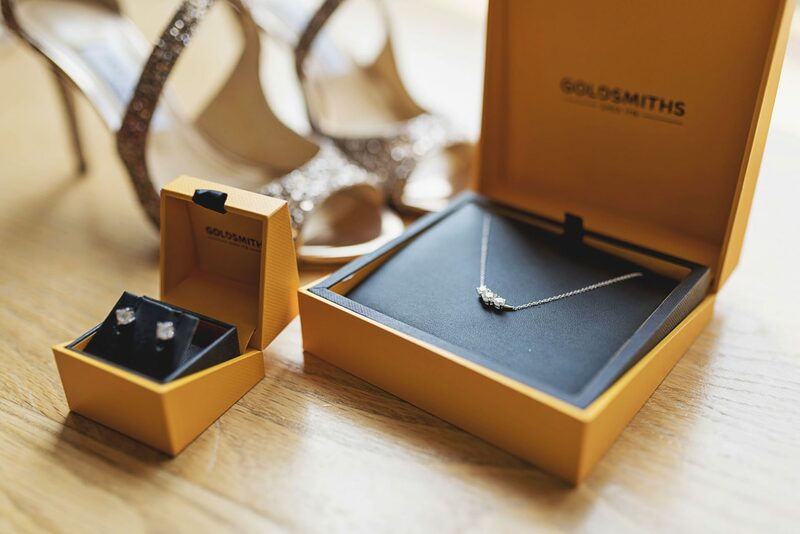 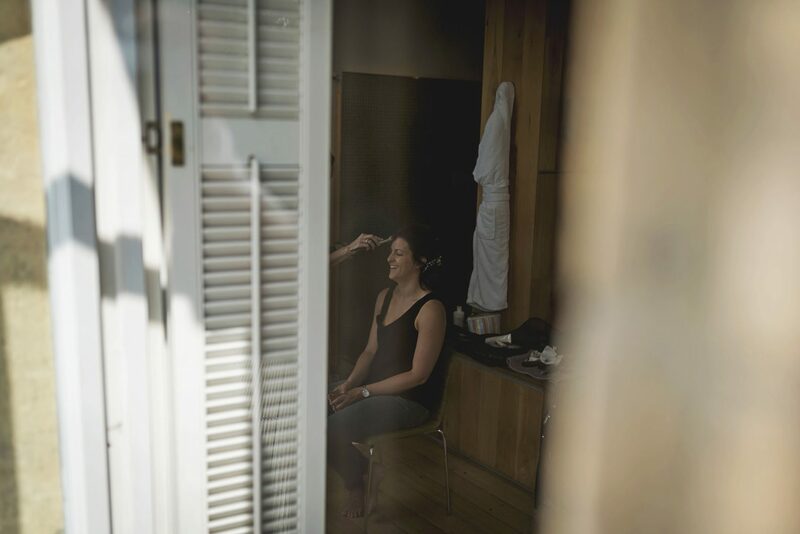 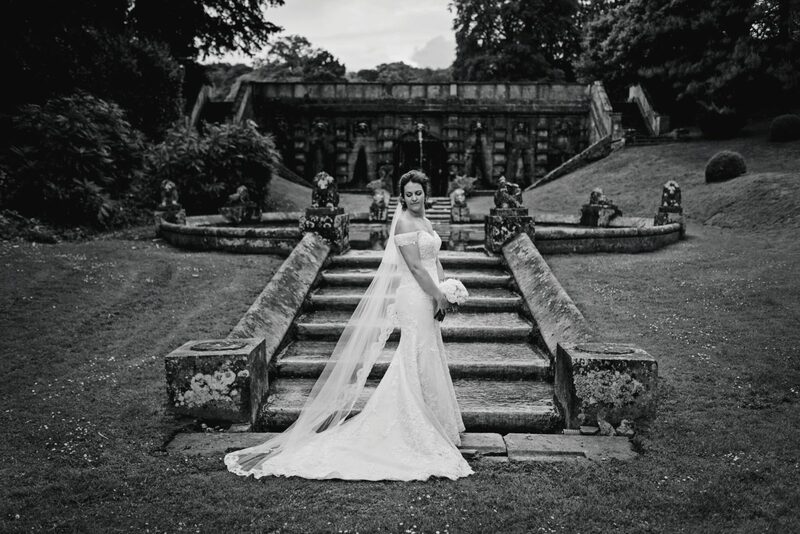 Cowley Manor…what an absolutely stunning venue! 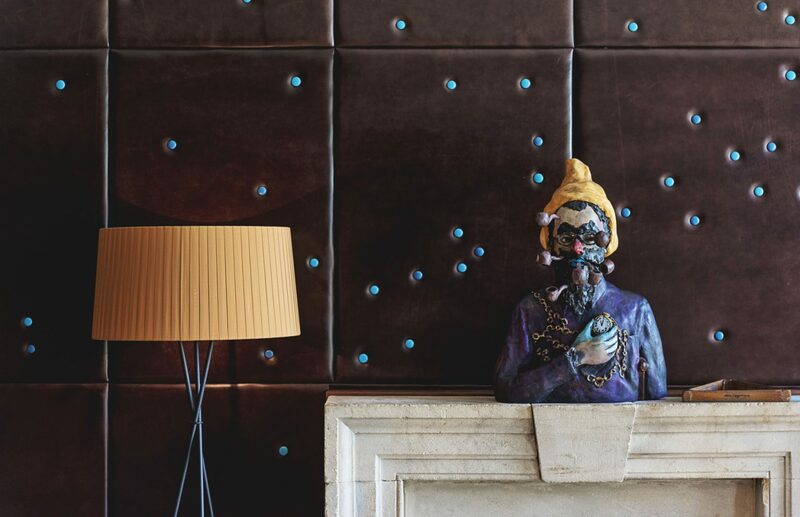 From the outside a traditional Manor House but when you step inside it’s funky and contemporary. 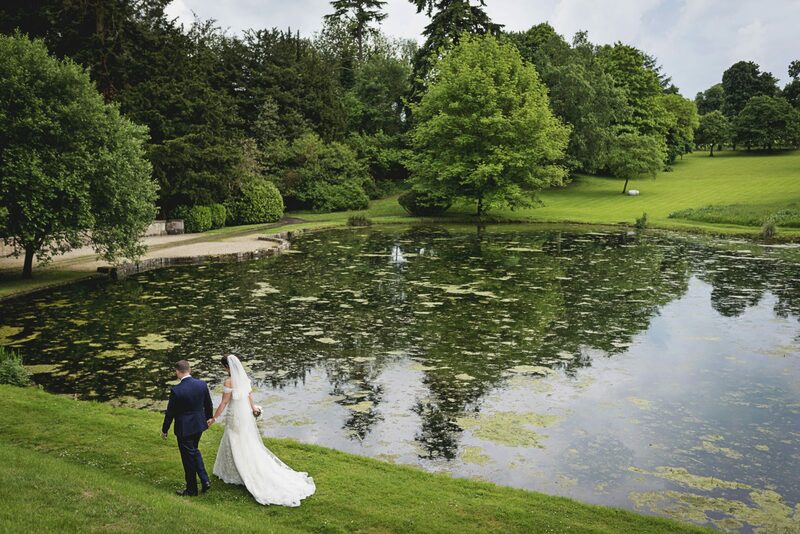 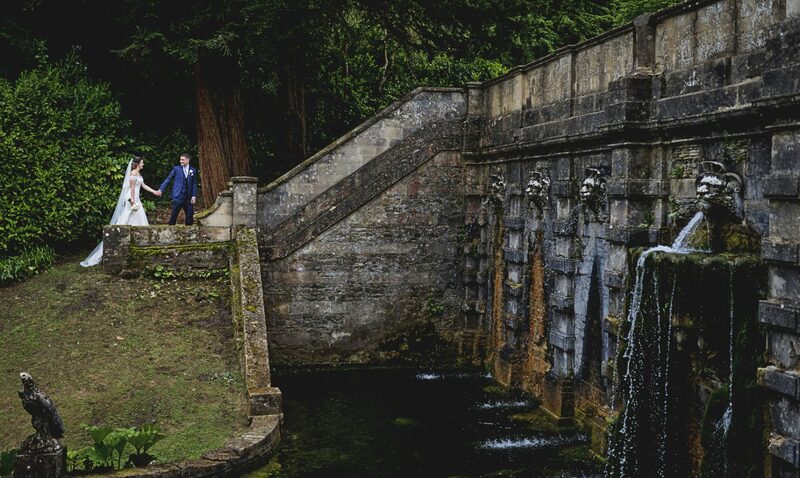 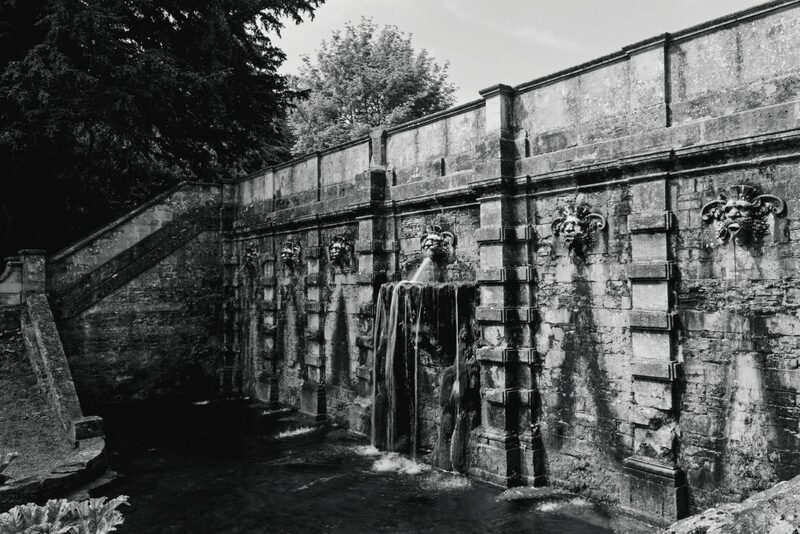 Plus the magnificent grounds that include a secret garden, water fall and it’s very own lakes! 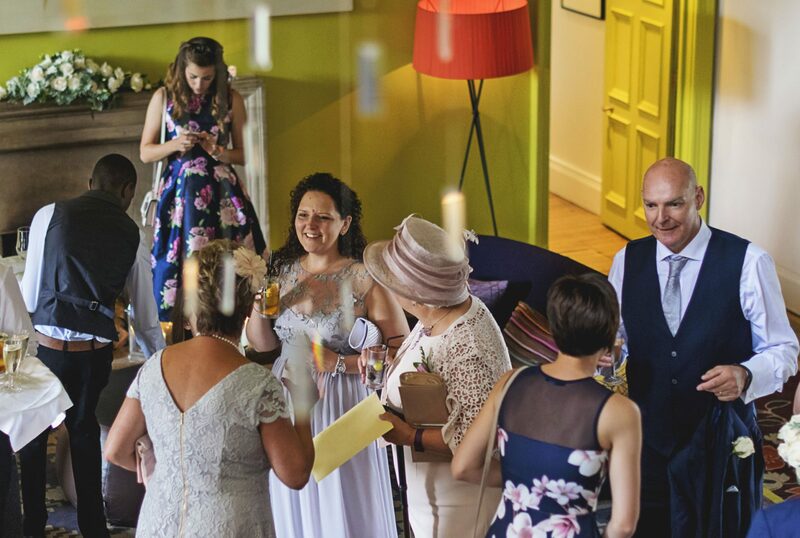 After a quick look around the grounds we headed to the Bridal suite where we found Kelly and her three bridesmaids. 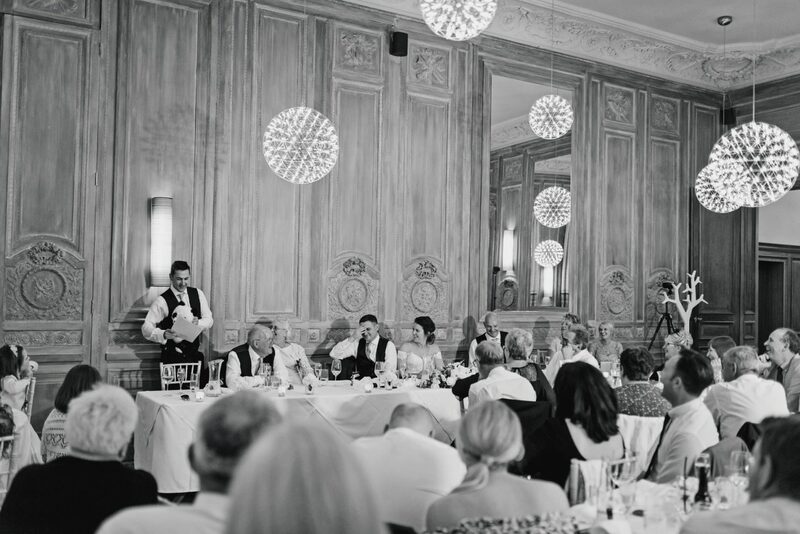 Can an atmosphere be calm and full of excitement too? 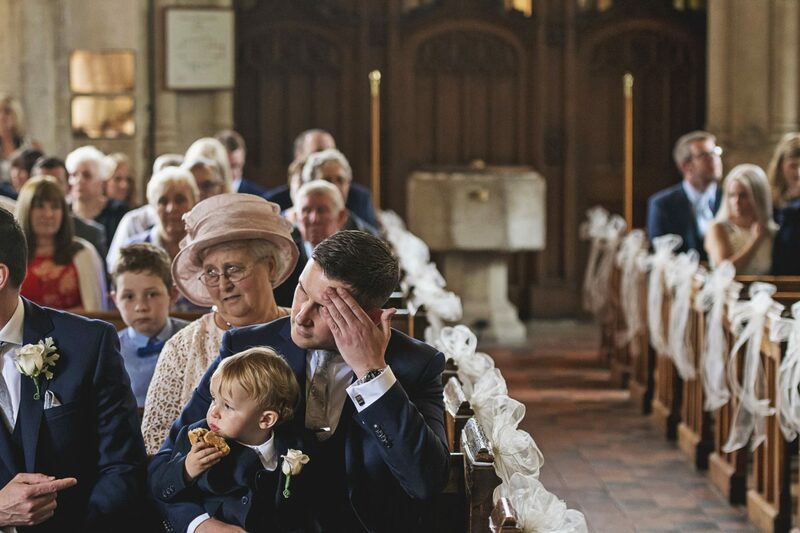 Because that’s exactly how it felt. 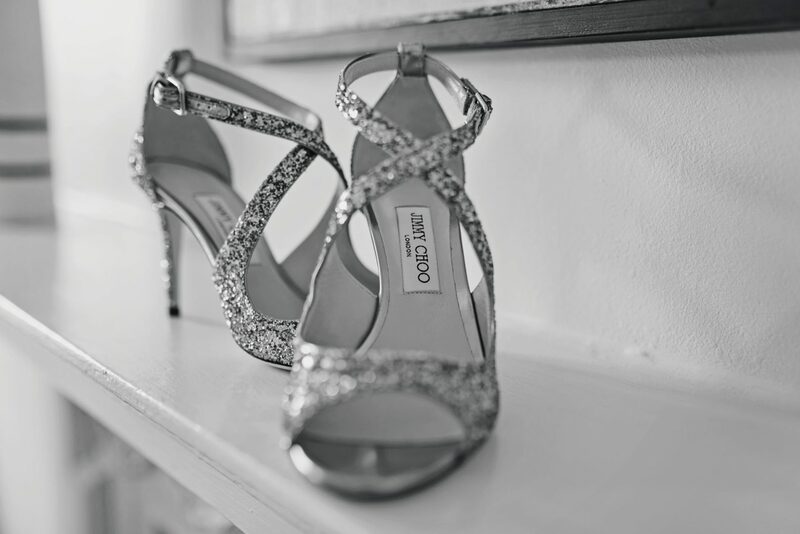 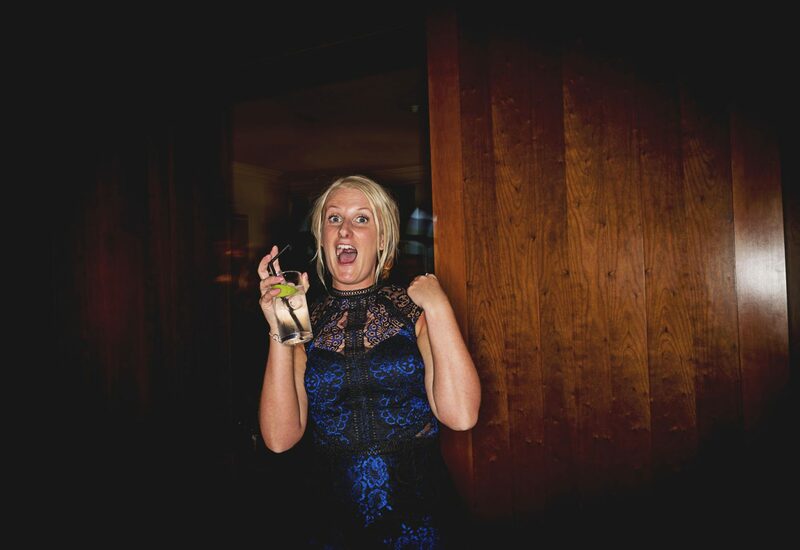 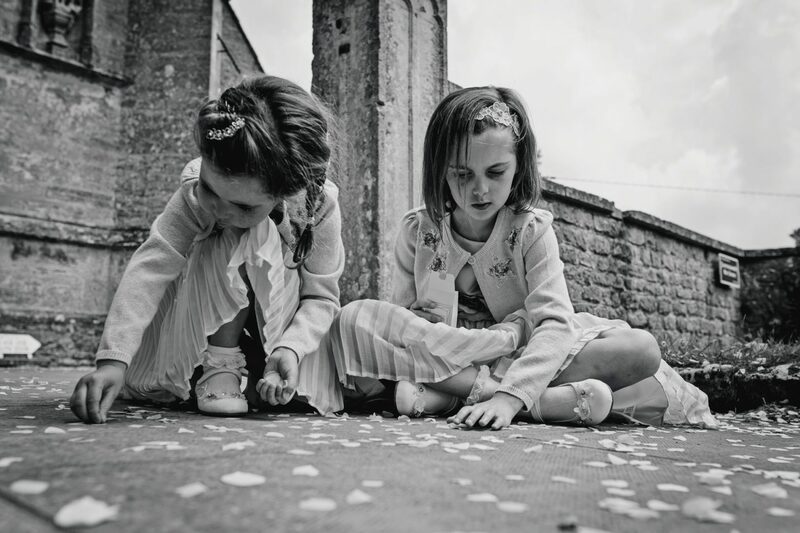 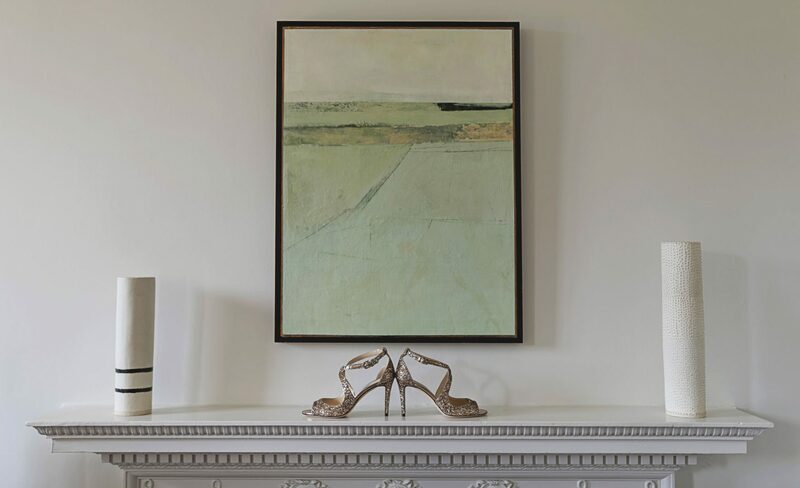 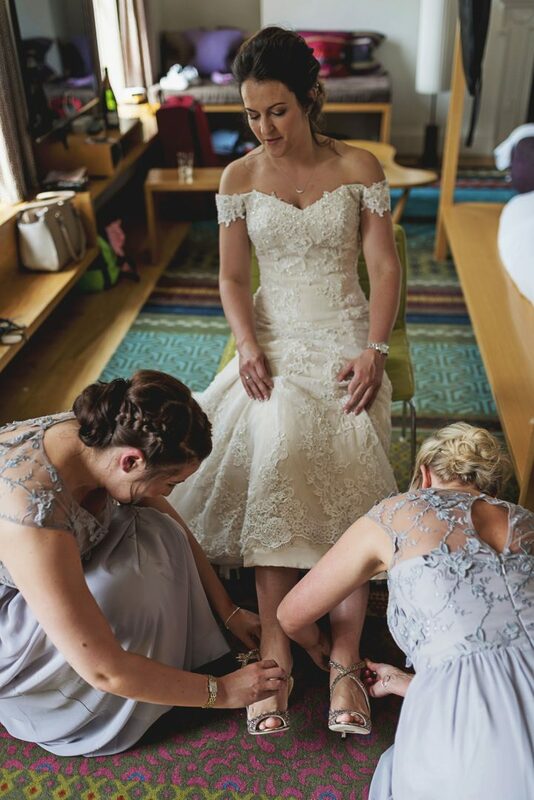 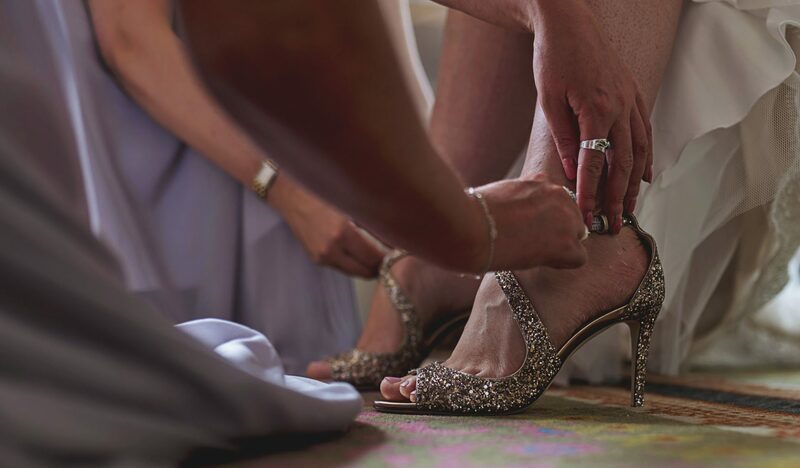 Kelly’s ‘Jimmy Choos’ were being helped on by her girls, and what a pair of shoes they were! 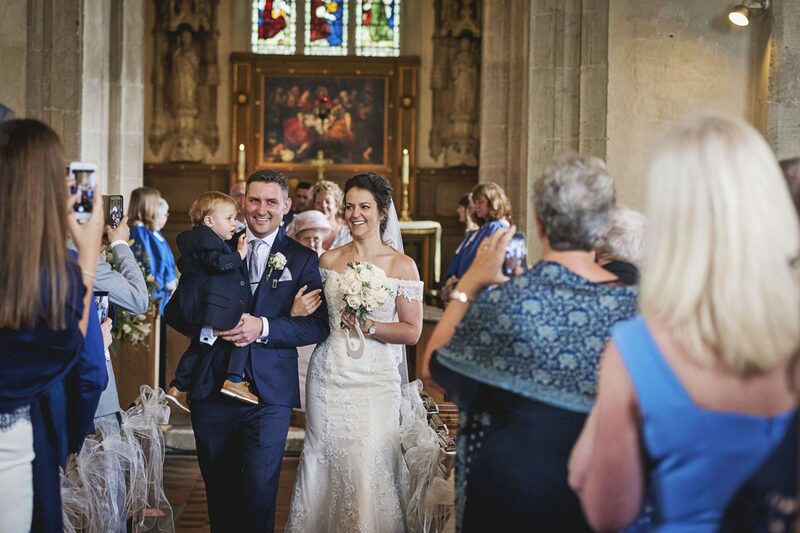 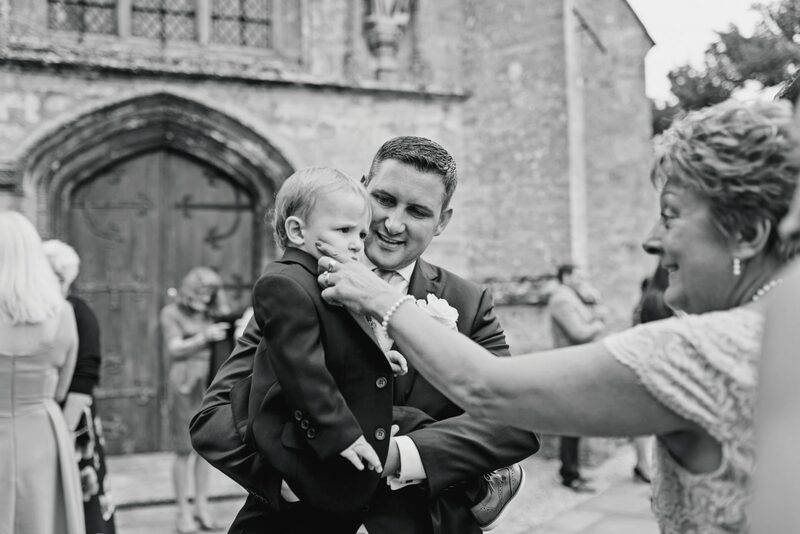 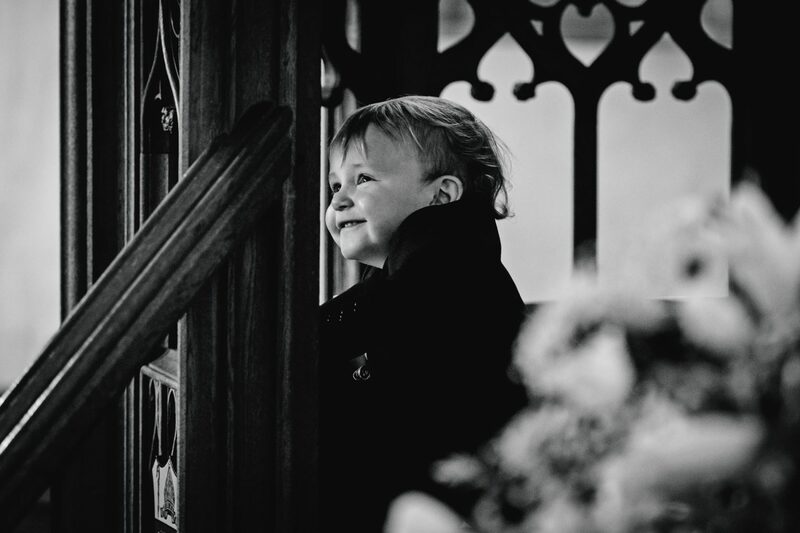 Over at St Mary’s Church we met Andy and their adorable little boy Josh. 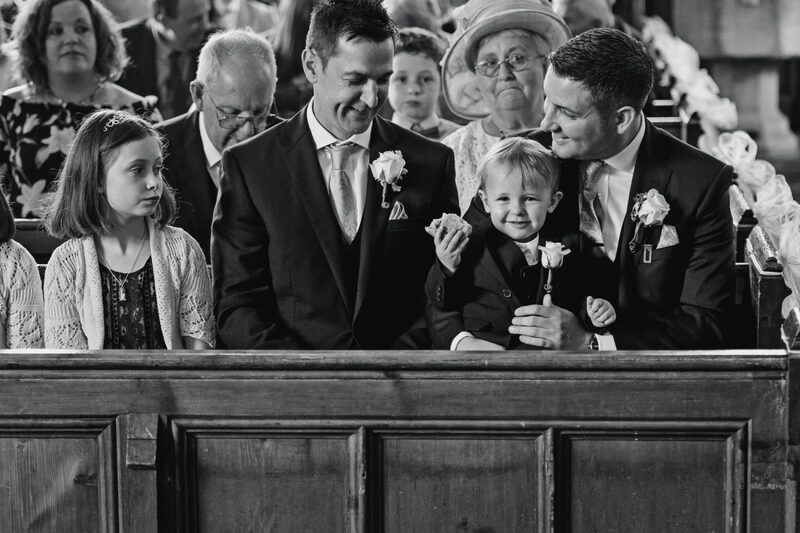 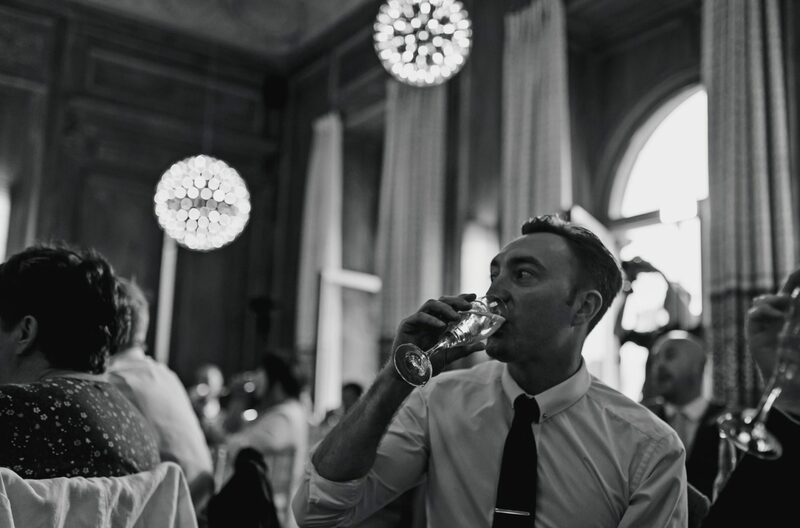 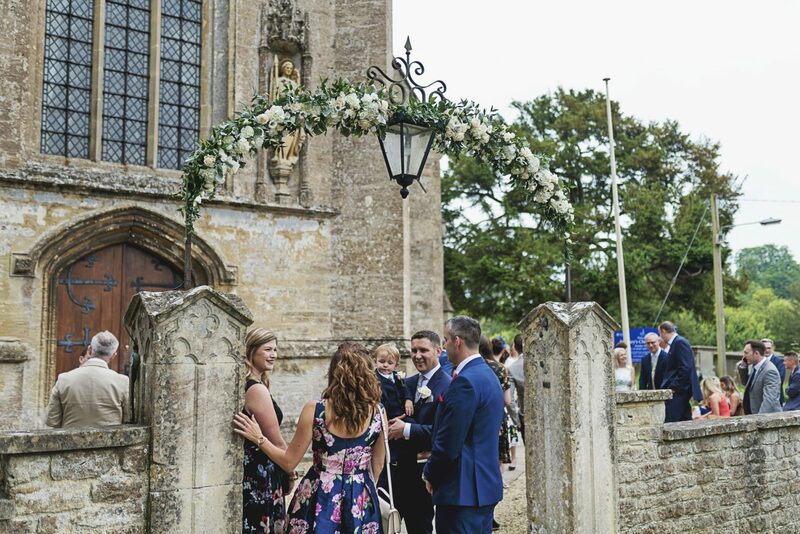 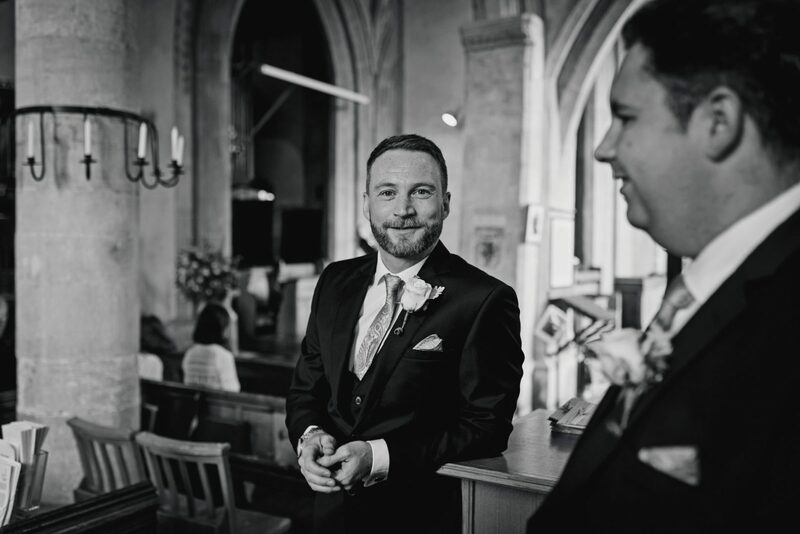 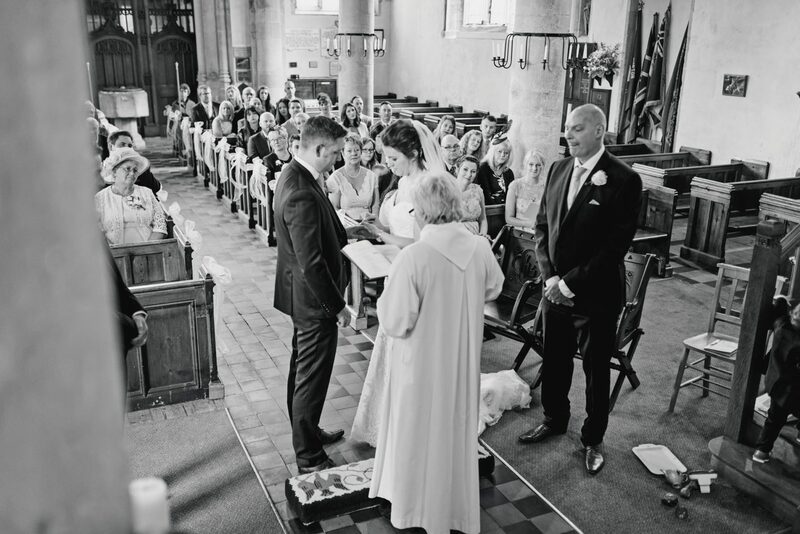 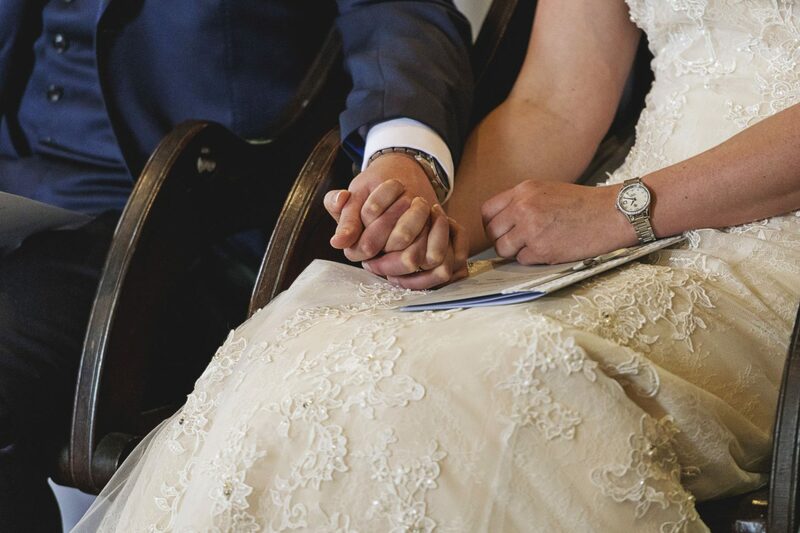 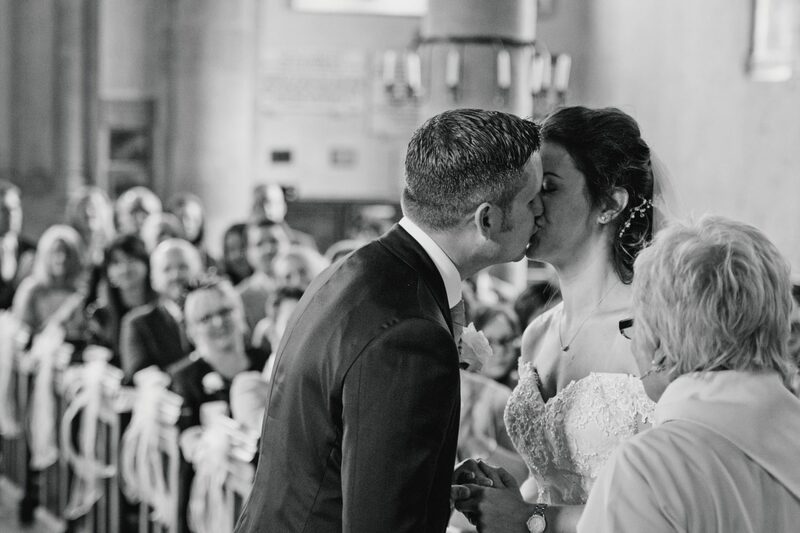 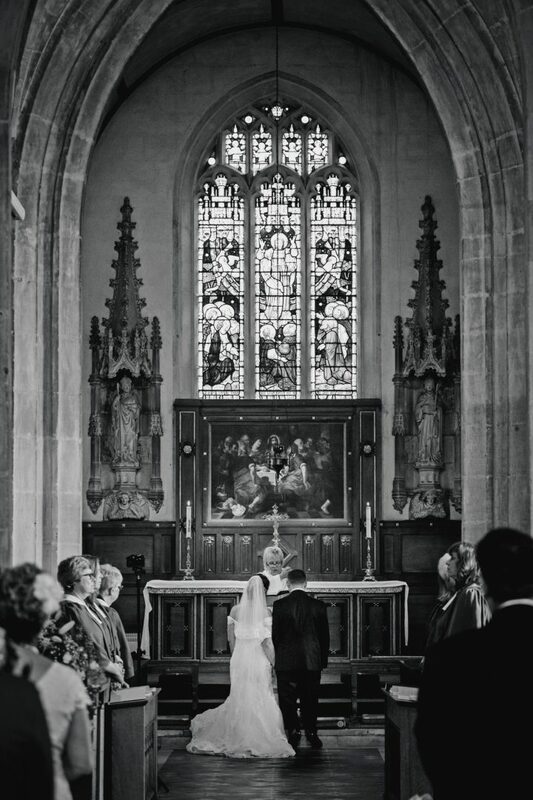 The church had a special meaning to Andy as his parents were married there many years before. 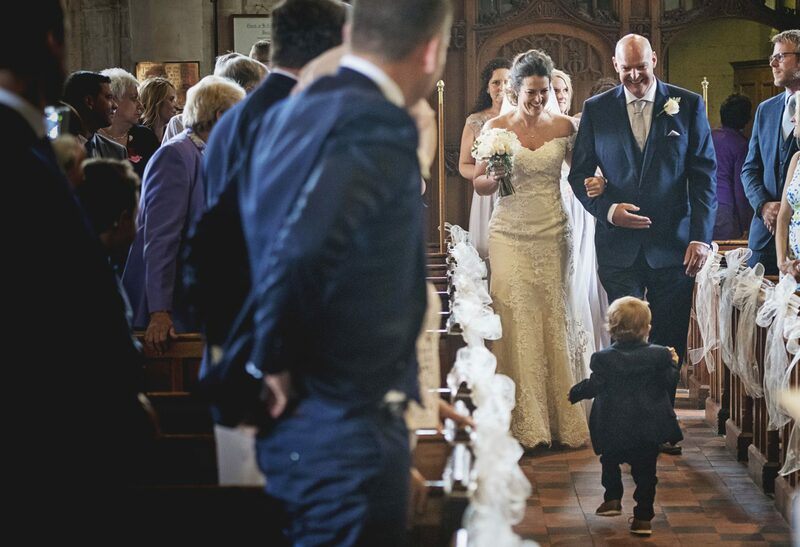 Josh was waiting patiently with his Daddy at the end of the aisle for his Mummy. 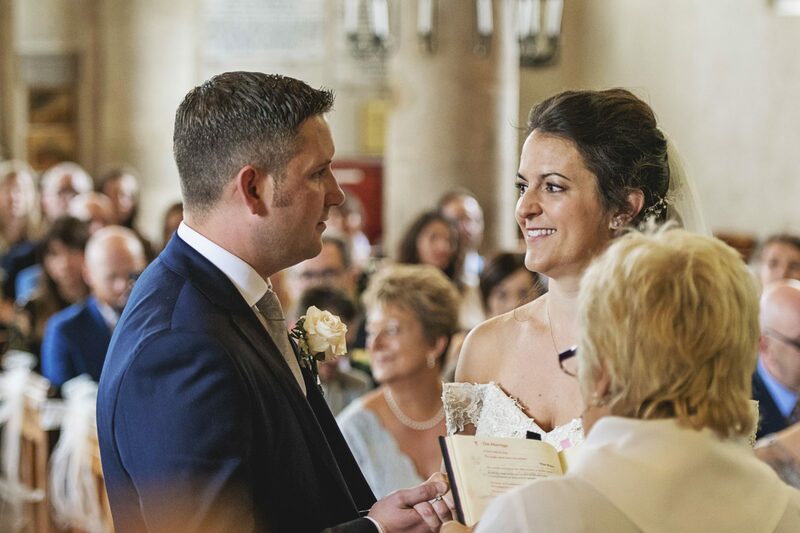 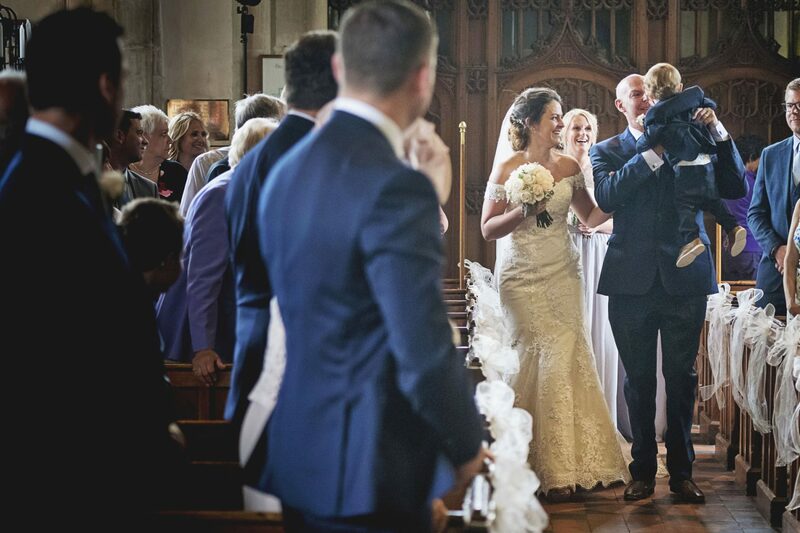 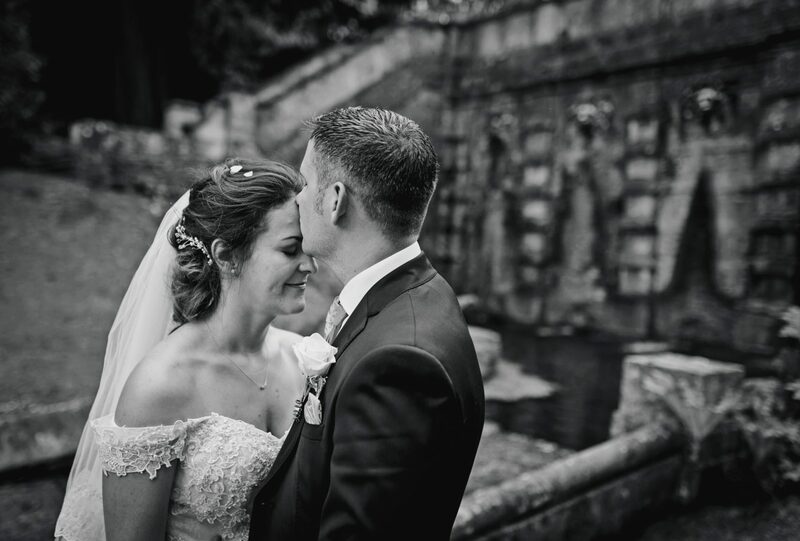 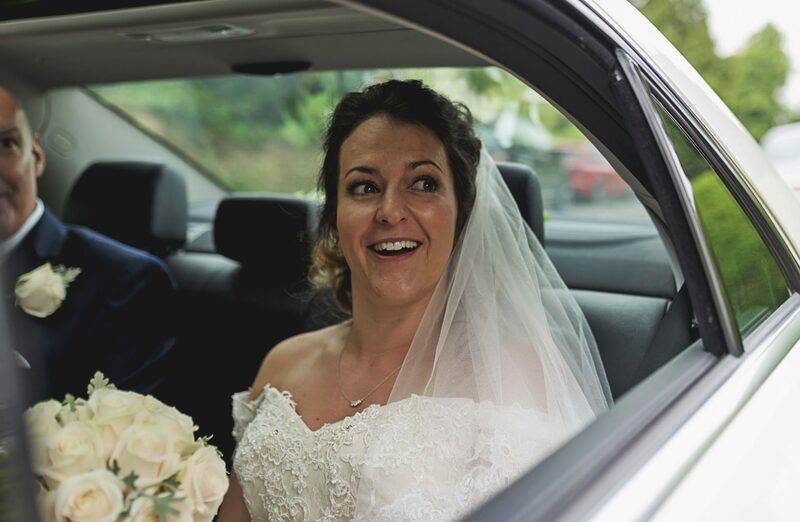 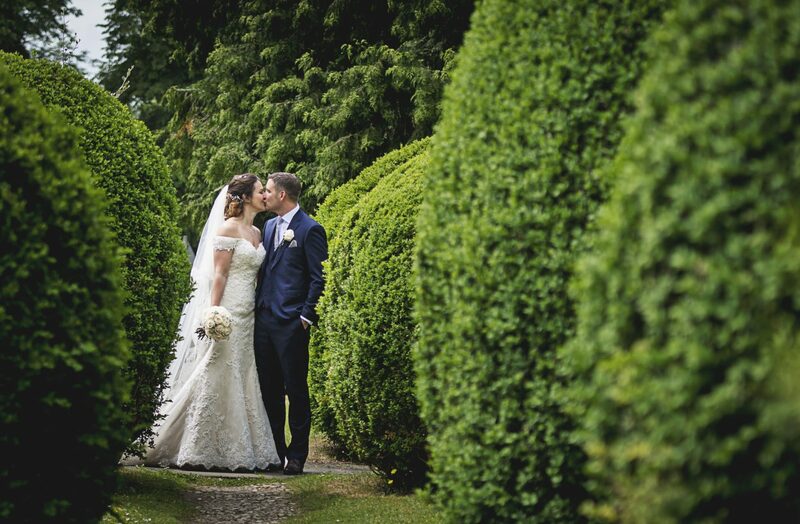 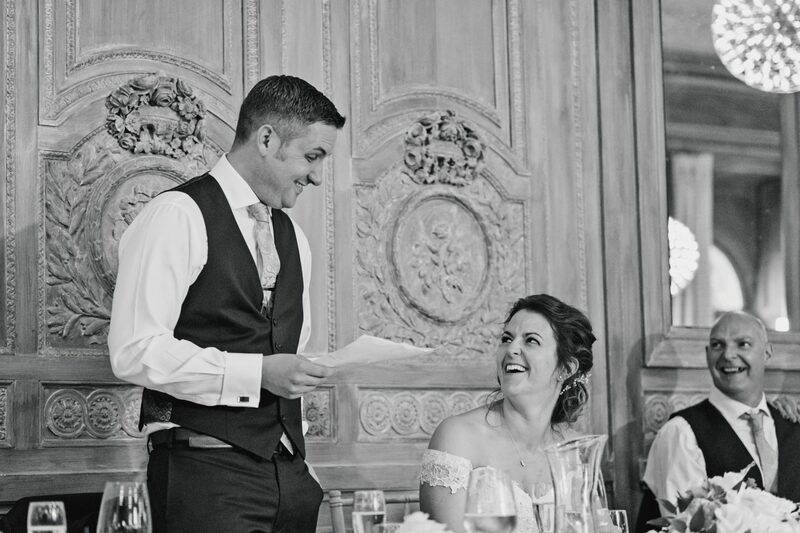 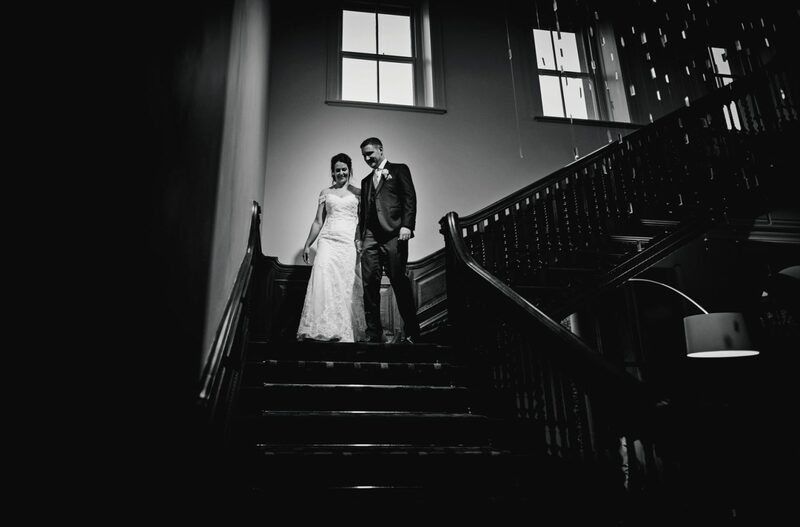 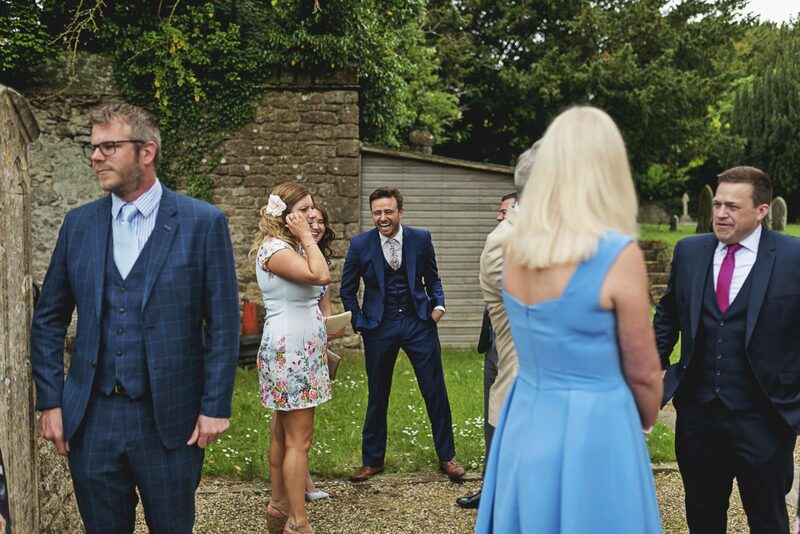 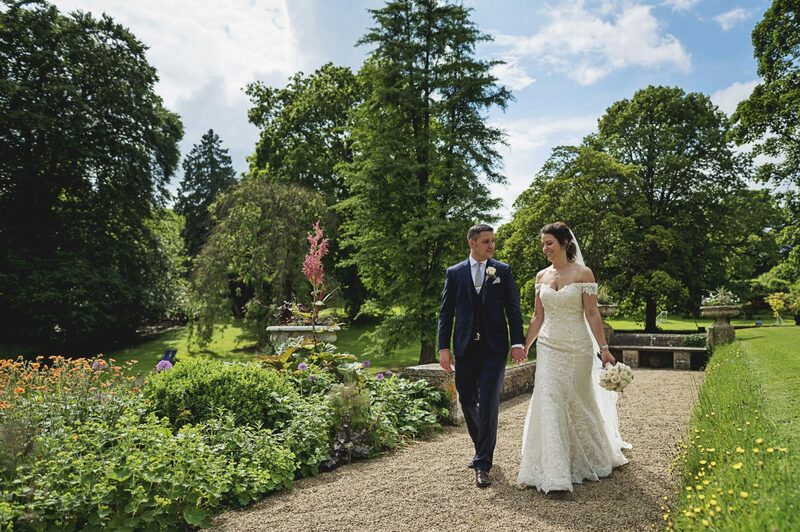 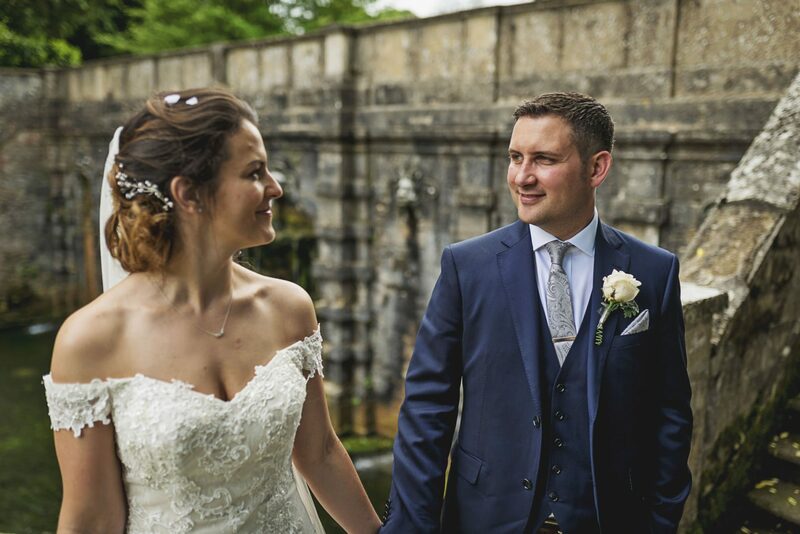 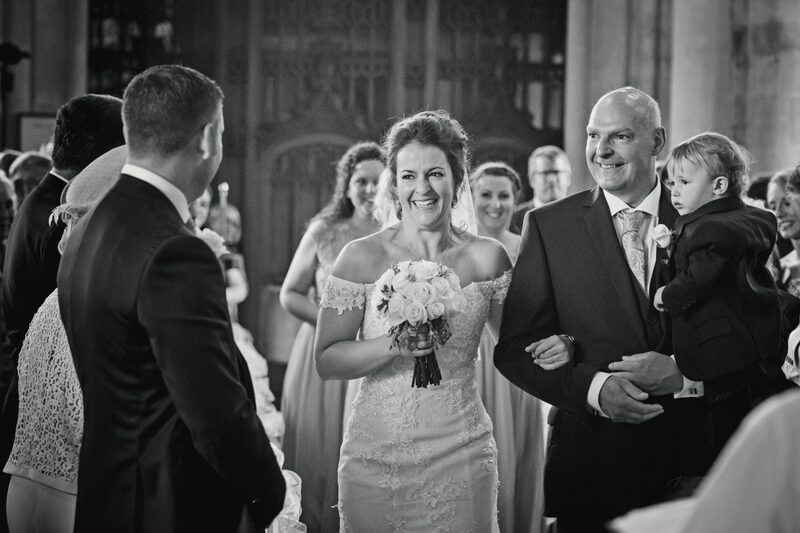 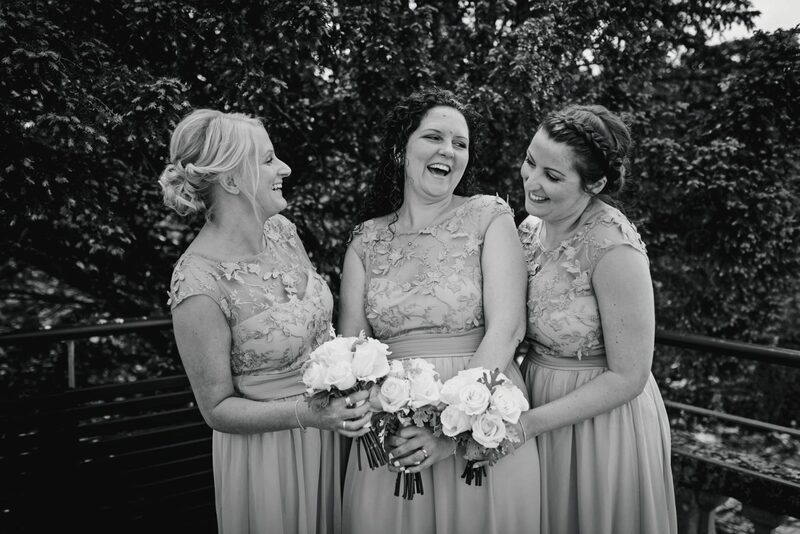 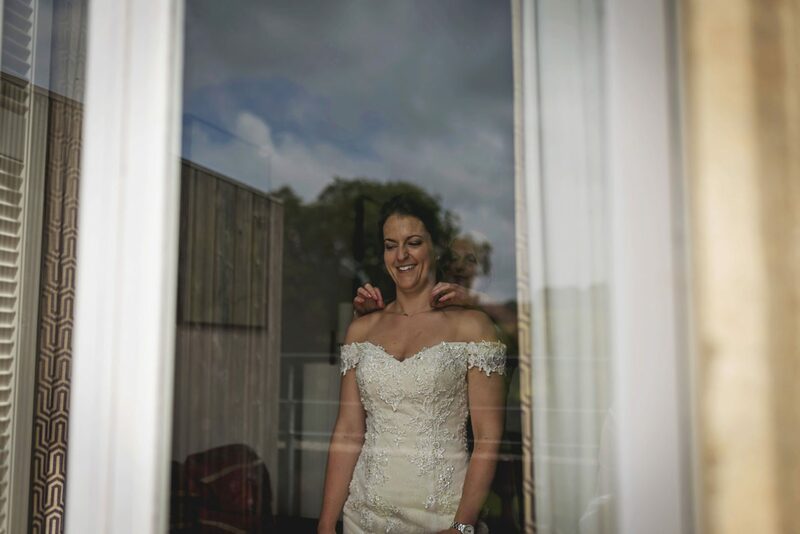 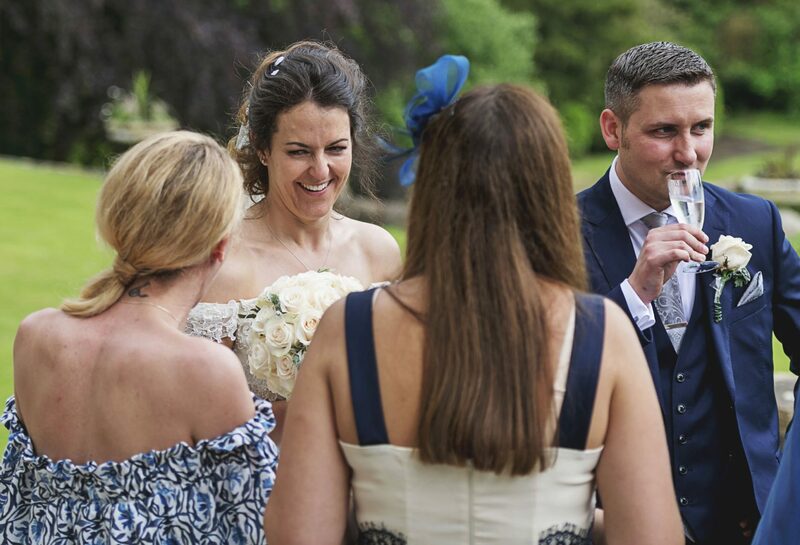 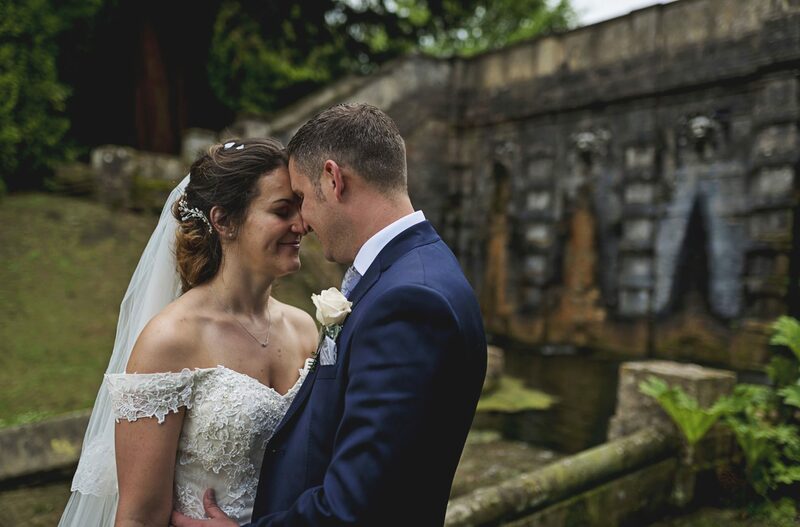 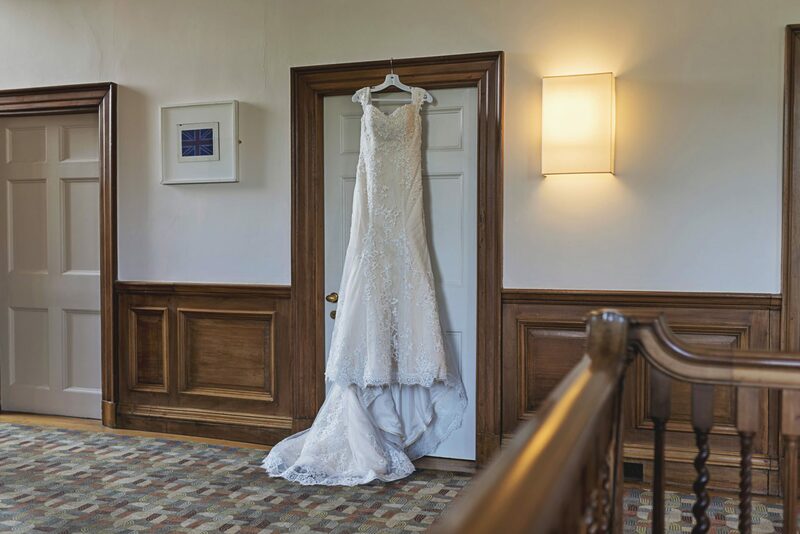 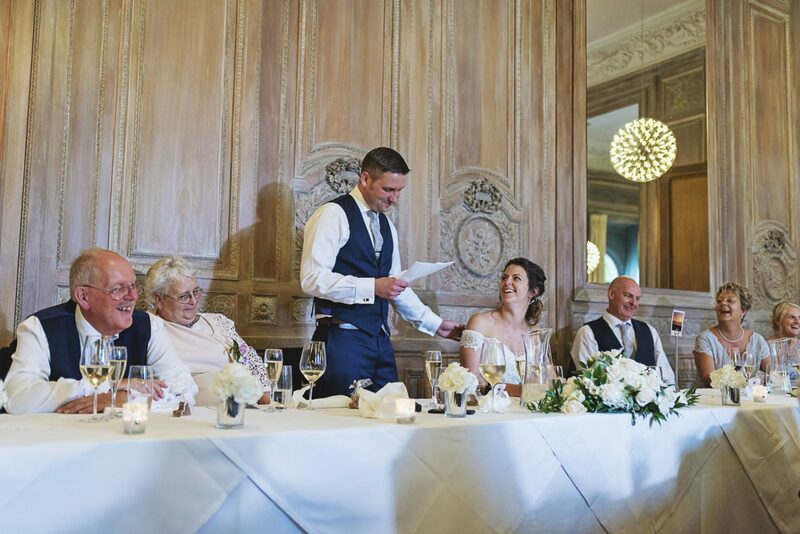 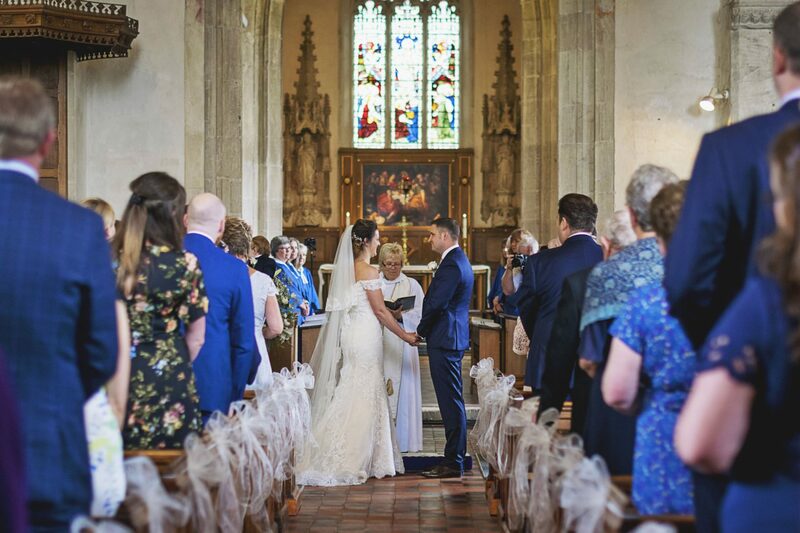 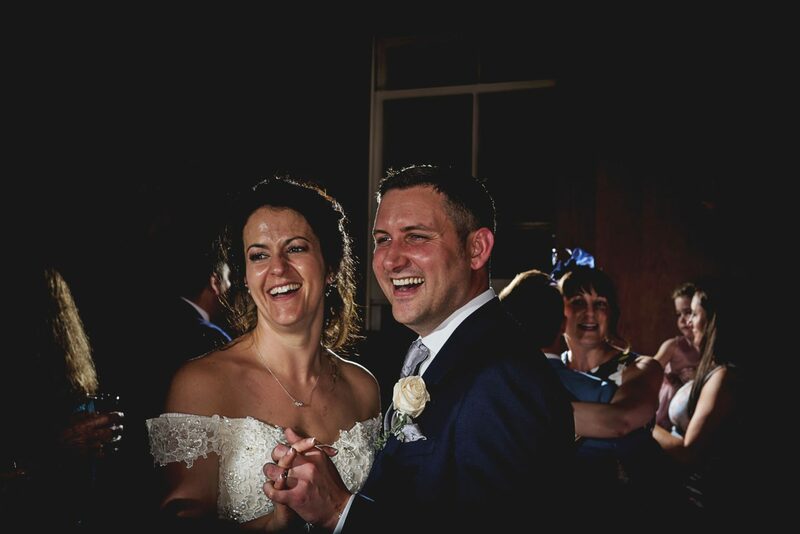 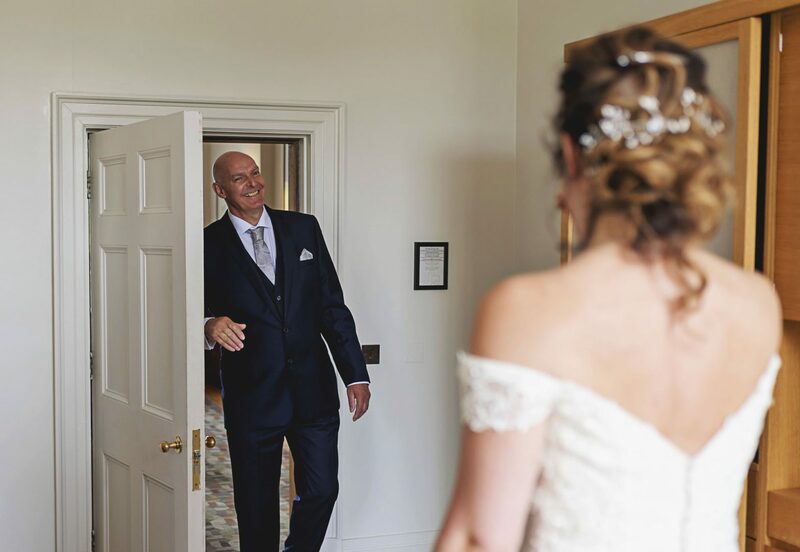 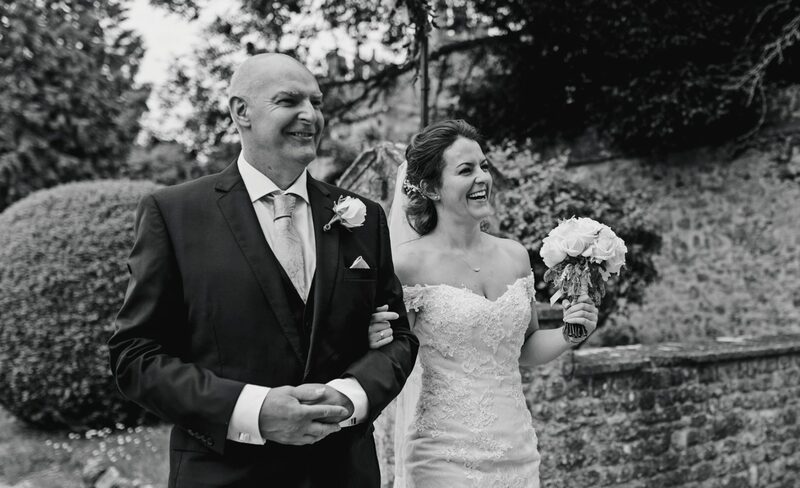 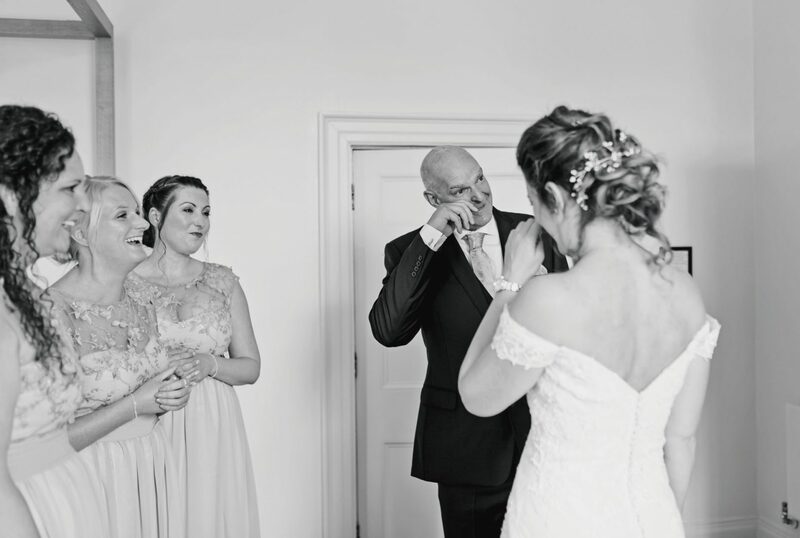 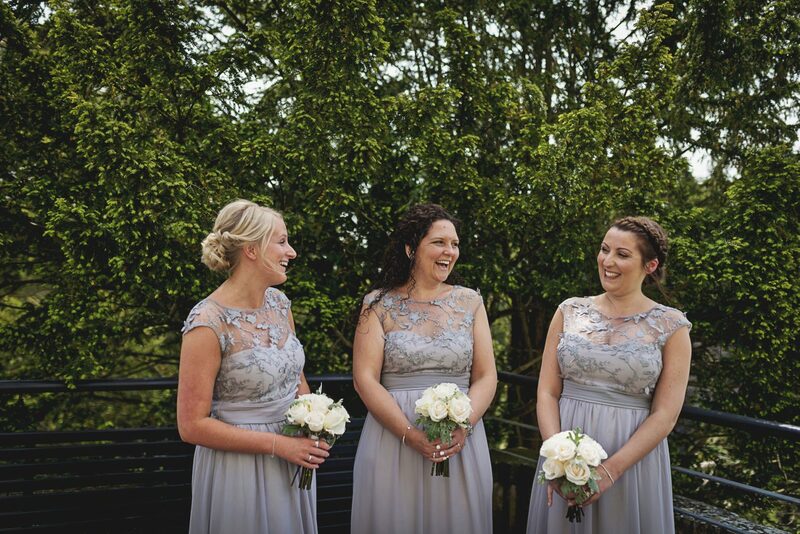 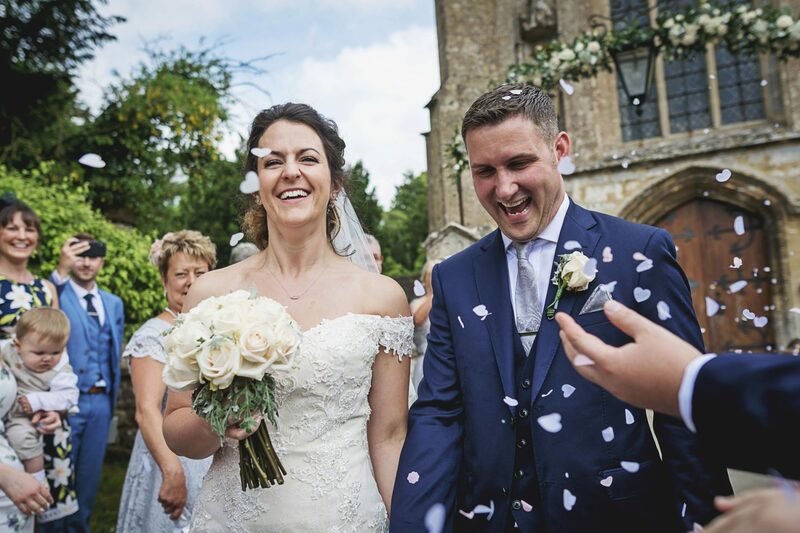 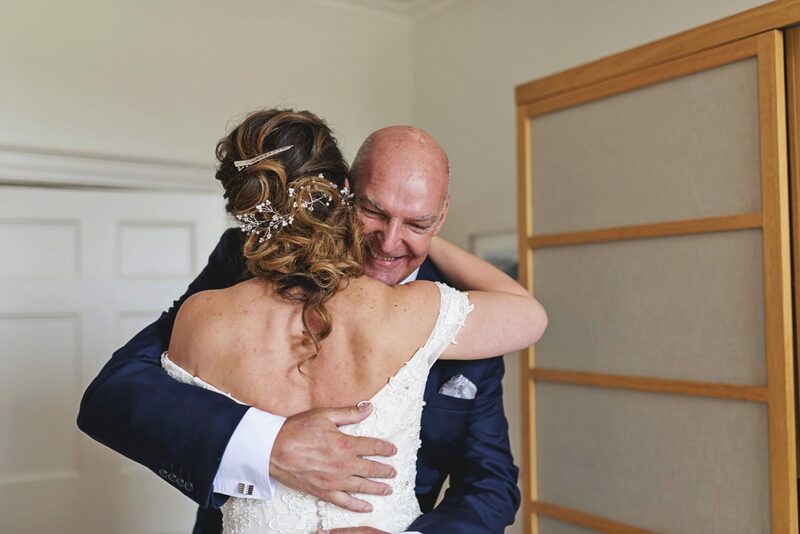 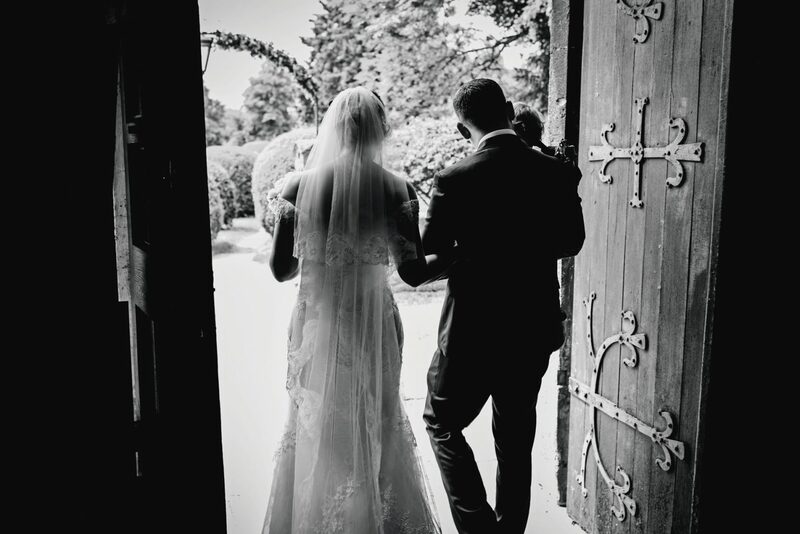 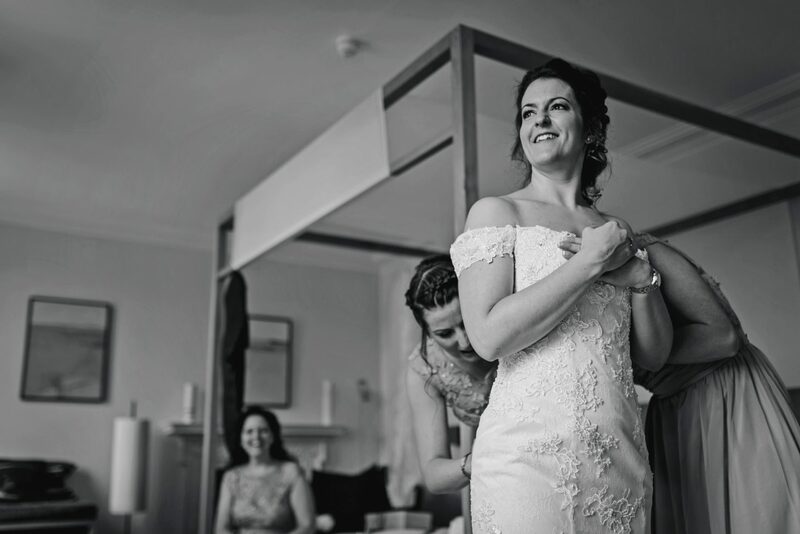 When he saw her he couldn’t help but run to her and why wouldn’t he…Kelly looked truly radiant in her dress by Trousseux Contemporary Bridal Wear. 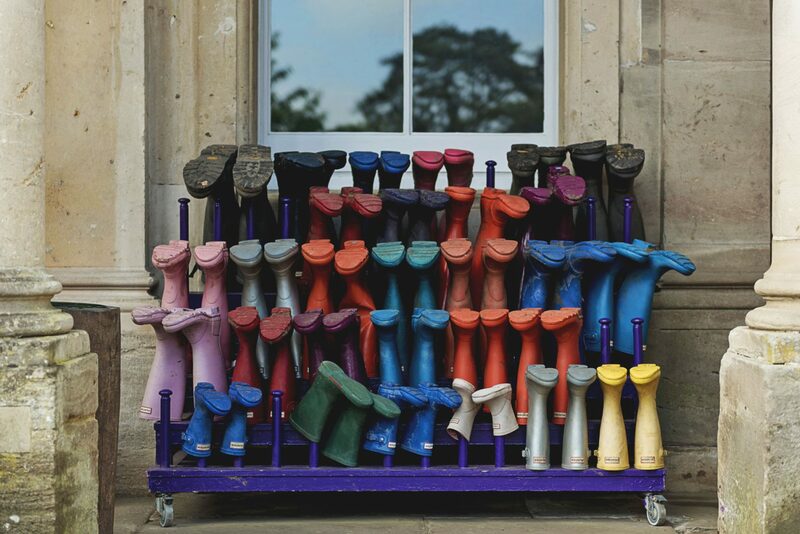 We arrived back at Cowley ahead of the storms knowing time was against us. 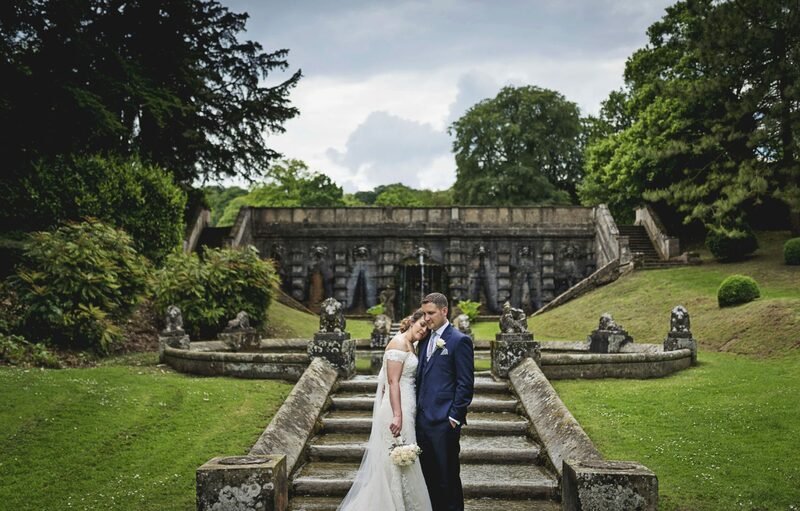 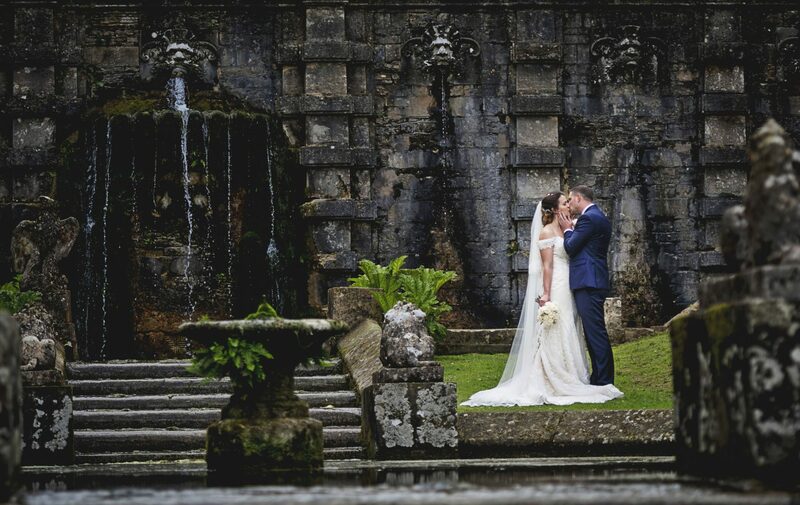 Luckily for Kelly & Andy the torrential rain held off until later enabling Neil to capture some amazing pictures helped by an awesome backdrop. 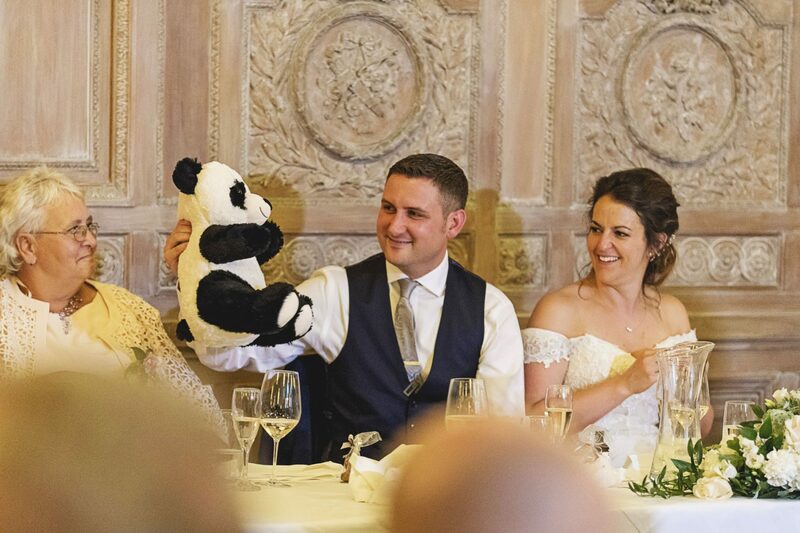 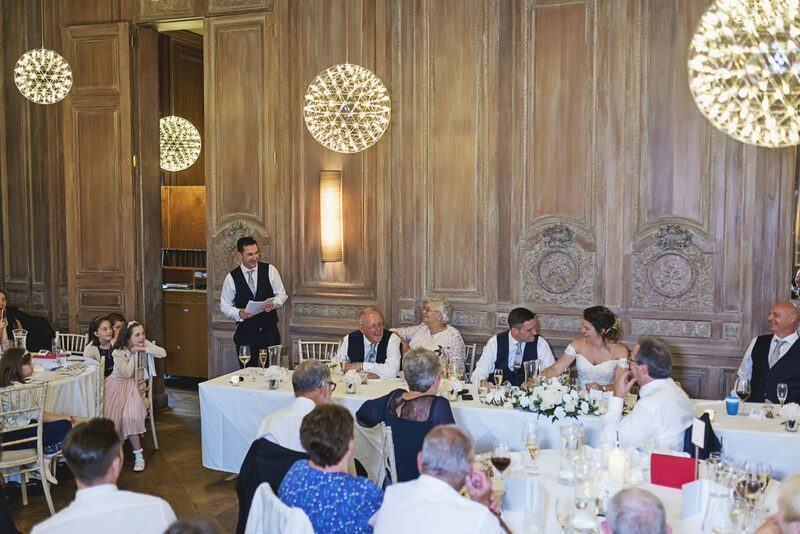 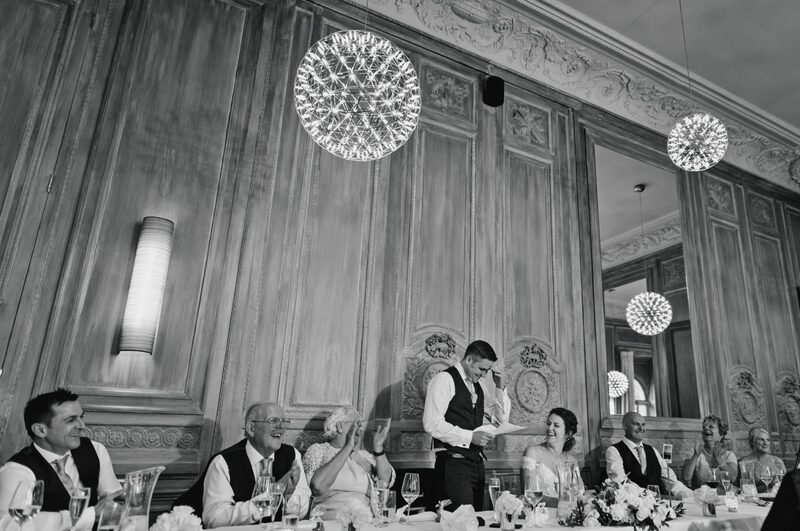 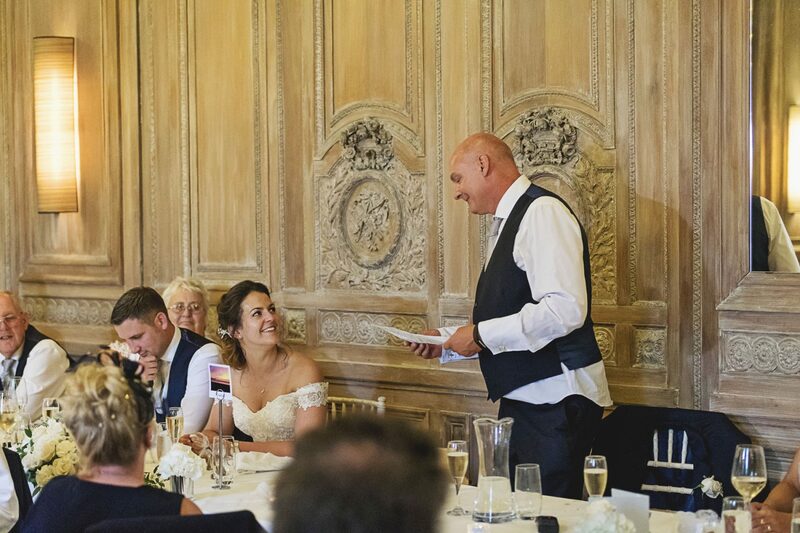 Back inside, the wedding breakfast took place in an enchanting room which was filled with a lot of love and laughs. 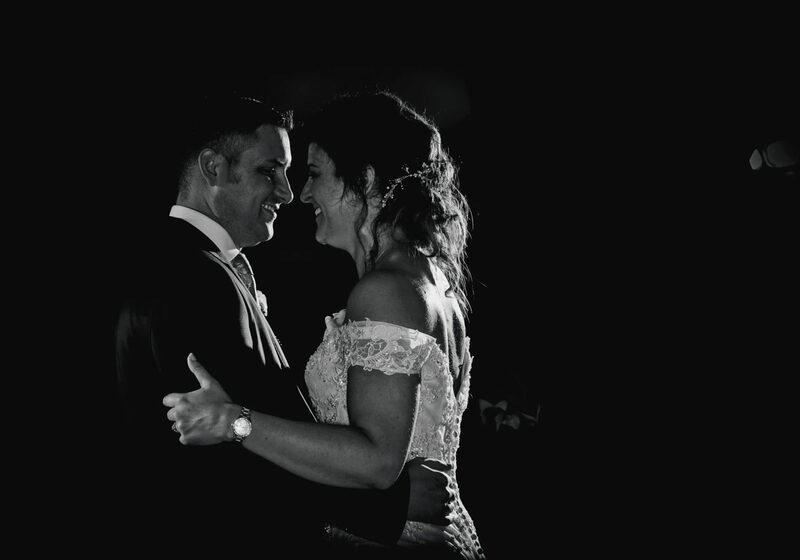 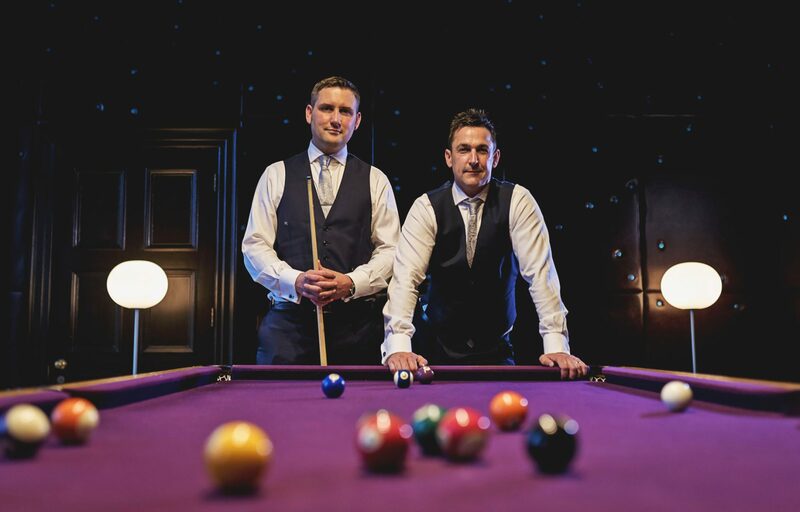 The evening was kicked off by Kelly & Andy’s first dance followed by live music from Black & Gold and there we left them to party the night away. 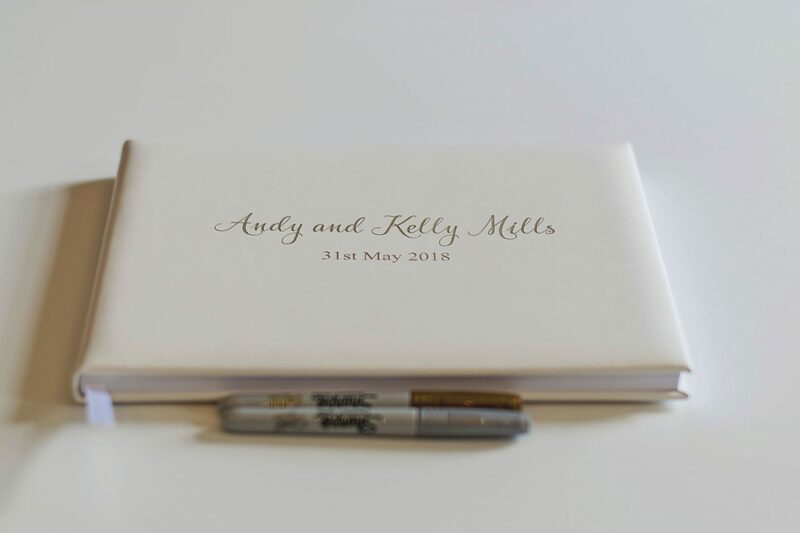 Kelly & Andy we thank you for asking us to be part of your special day.